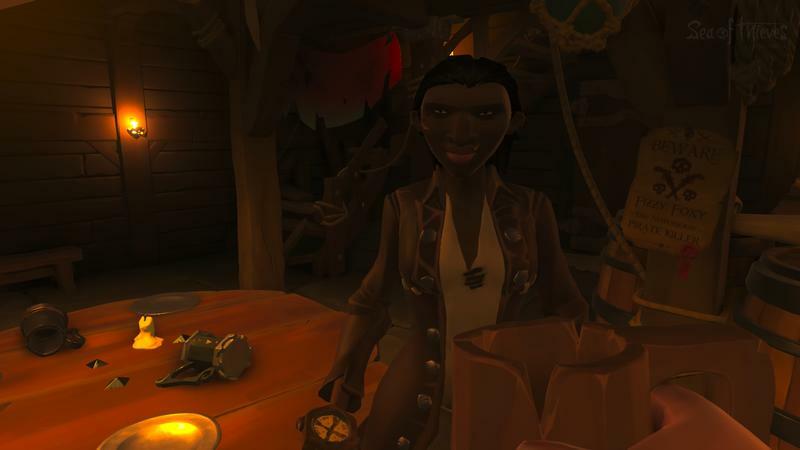 I'd be lying if I tried to tell you I was immediately taken with Sea of Thieves. 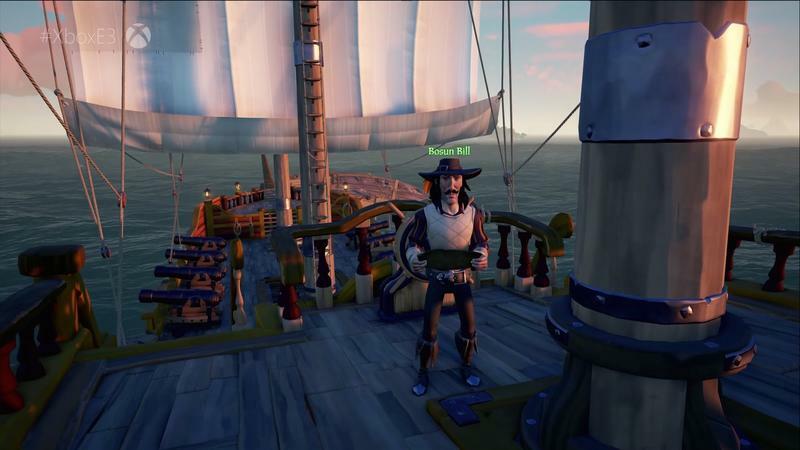 I had major issues with Rare's cartoony pirate sim right at launch. 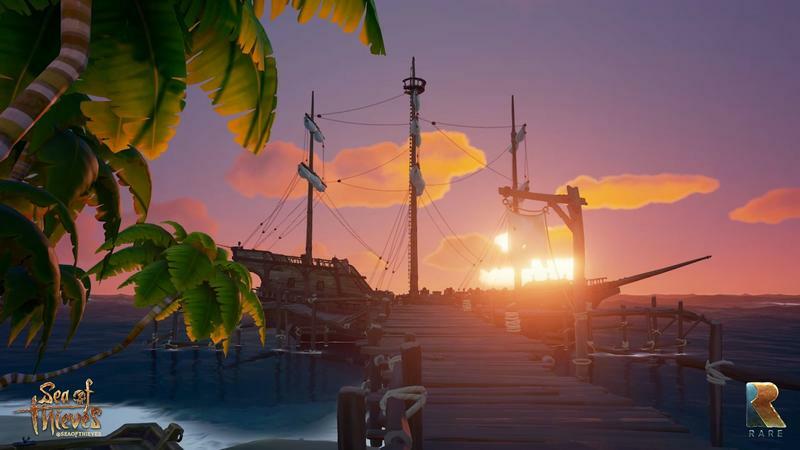 It had amazing art and was a blast to play mechanically, but its content-lite approach left me wondering how much life it would have in it. 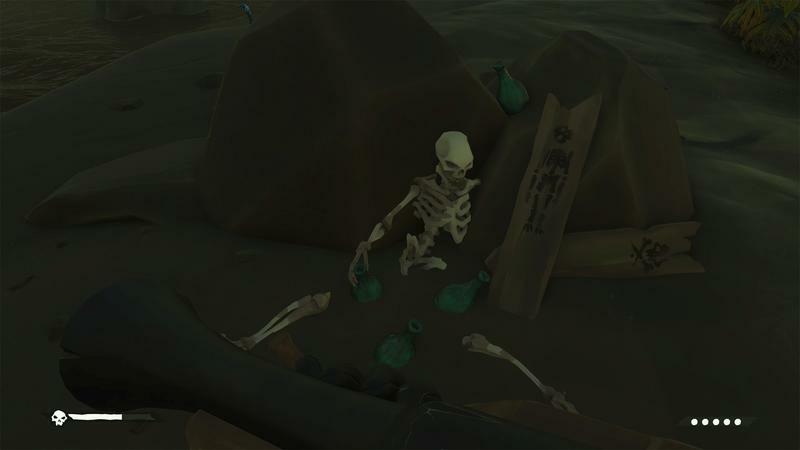 And I definitely wasn't the only one. 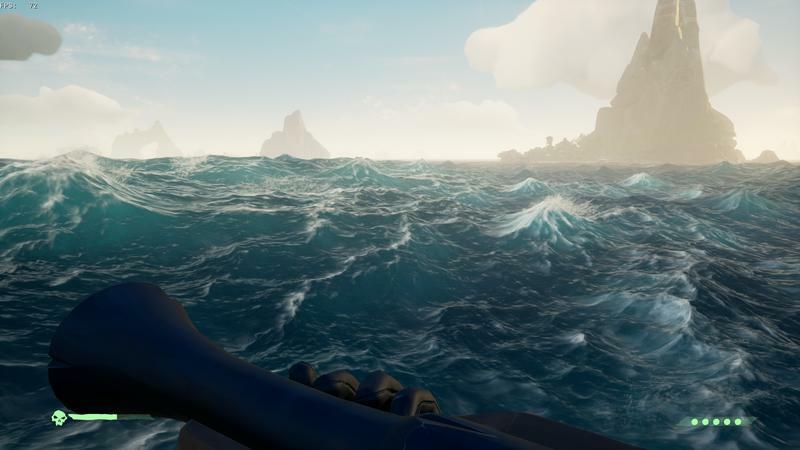 Rare was confident in its vision, though. 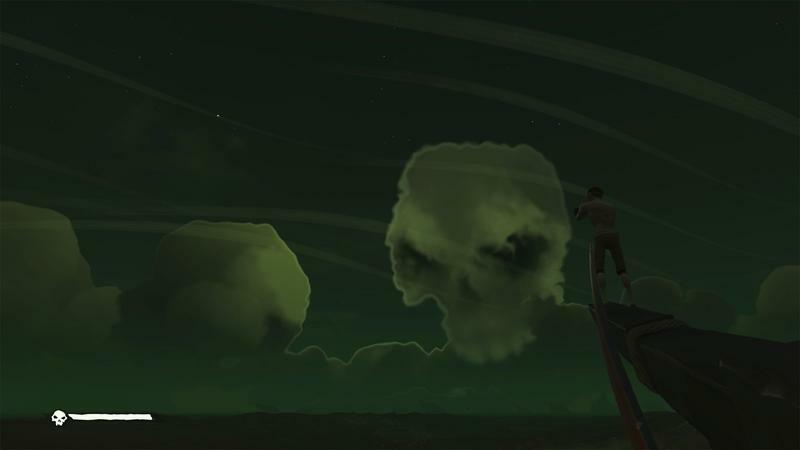 It turns out, we were kind of both right. 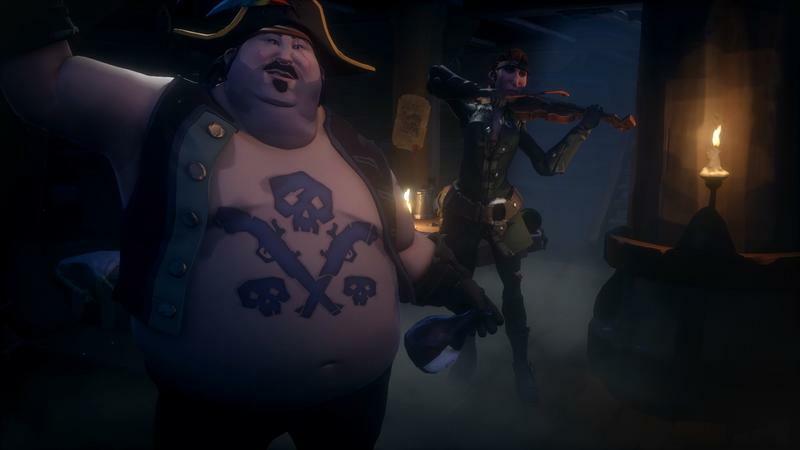 You know, me and the entire development studio known as Rare. 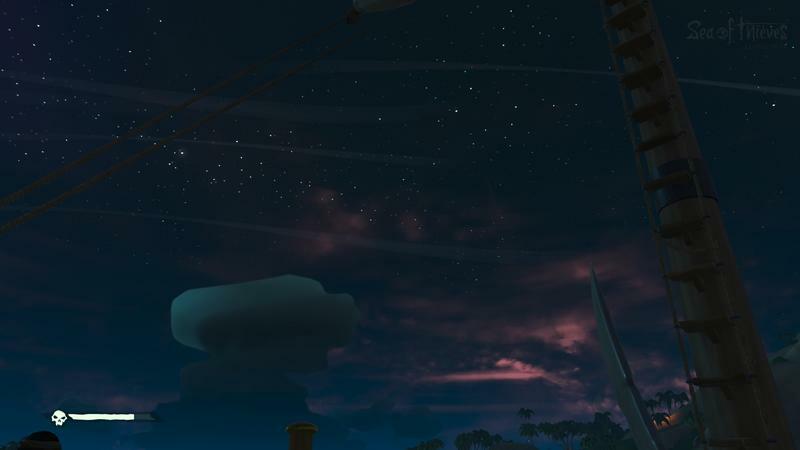 Both of us. 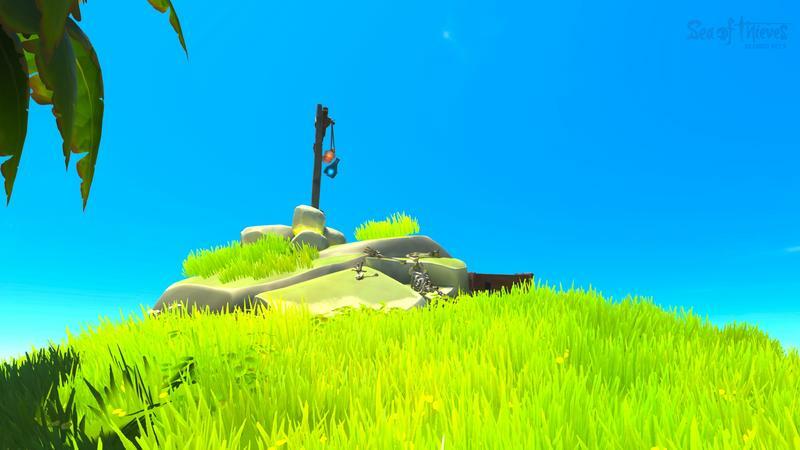 There is a really fun game there, and it's one I've poured countless hours into since its March launch. 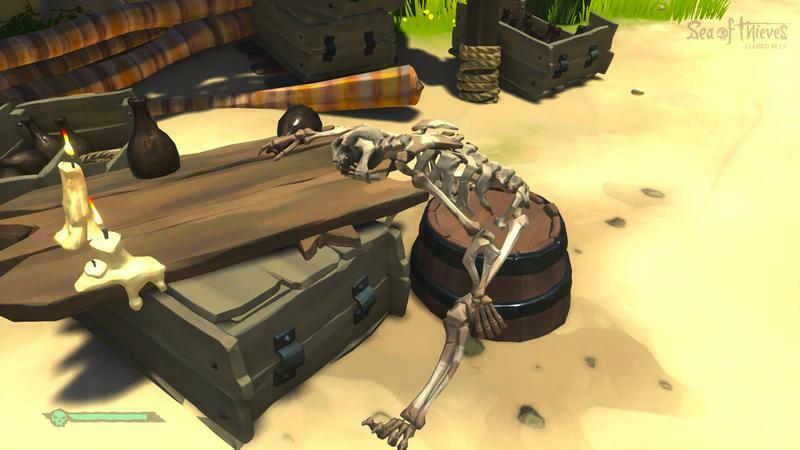 My brother and I will usually spend about one evening a week sailing the high seas, hunting down skeleton captains and digging up treasures while trying to avoid the other pirates, each one a live player. 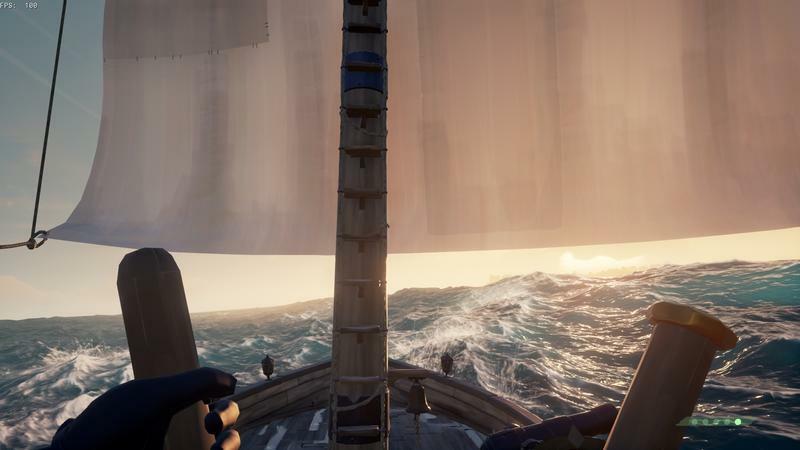 Sea of Thieves is truly fun to play, in the sense that the things you'll do in the game are satisfying in their mix of complexity and approachability. 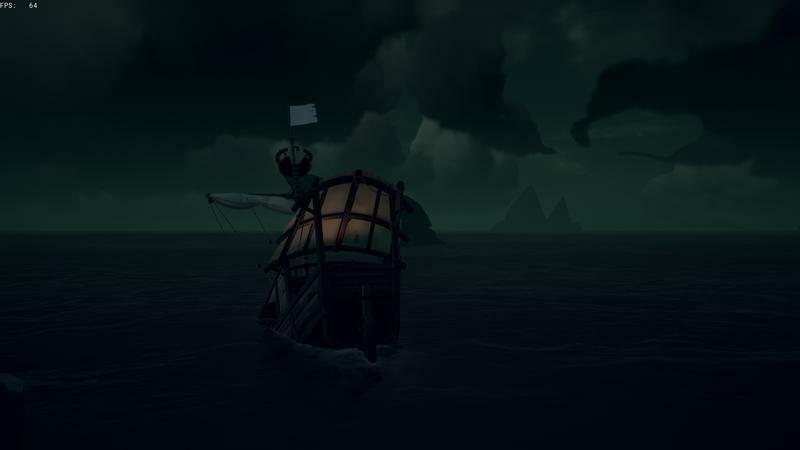 Sailing a ship, all on its own, is just that fun. 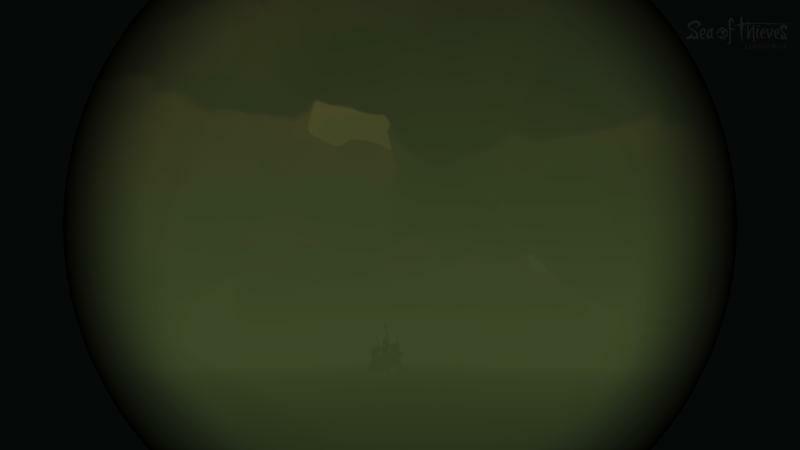 But there isn't enough to do. 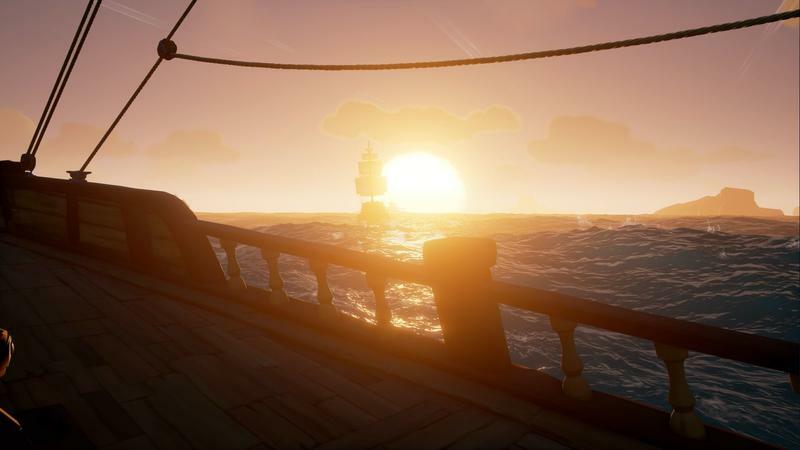 Reasons to keep sailing that ship. 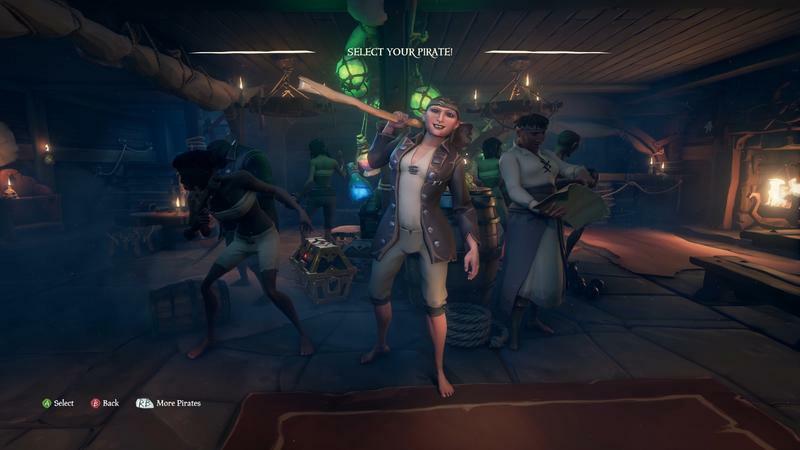 And Rare listened to us. 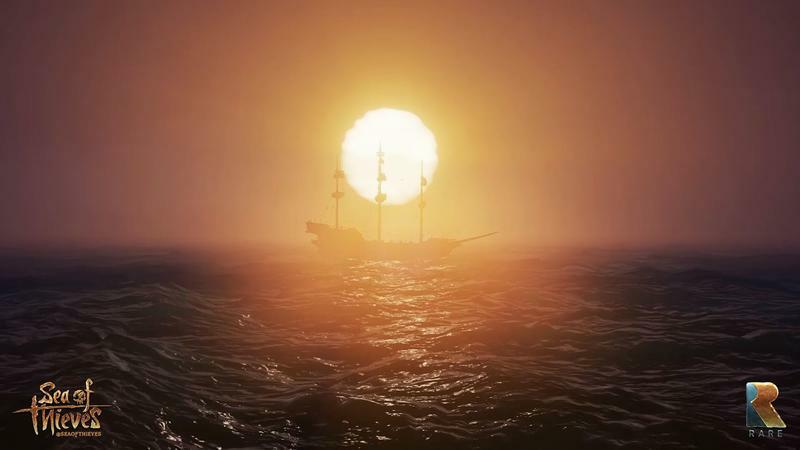 After unveiling the Hungering Deep in May, which asked players to band together to fight a gigantic Megalodon shark, the team revealed at E3 two new content packs – free of course – that will bring a bunch of new stuff to do while addressing one player concern after another. 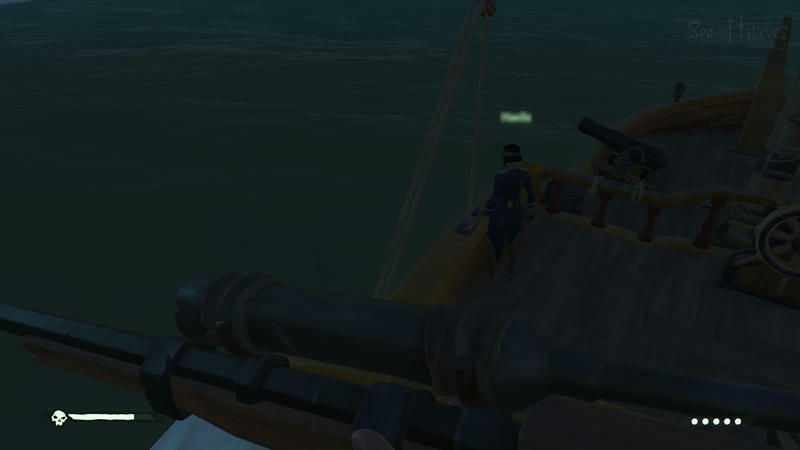 Because I have this small core group of me and my brother and one other friend that we play with, we talk about the game frequently. 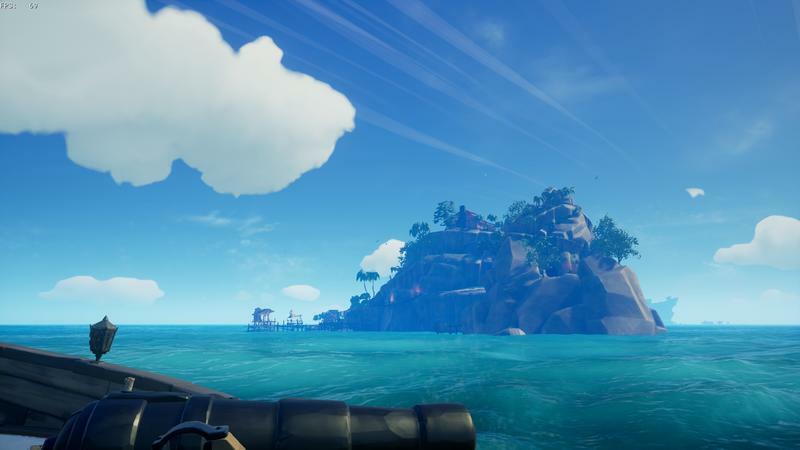 What works, what doesn't, what we would change, what needs to change. 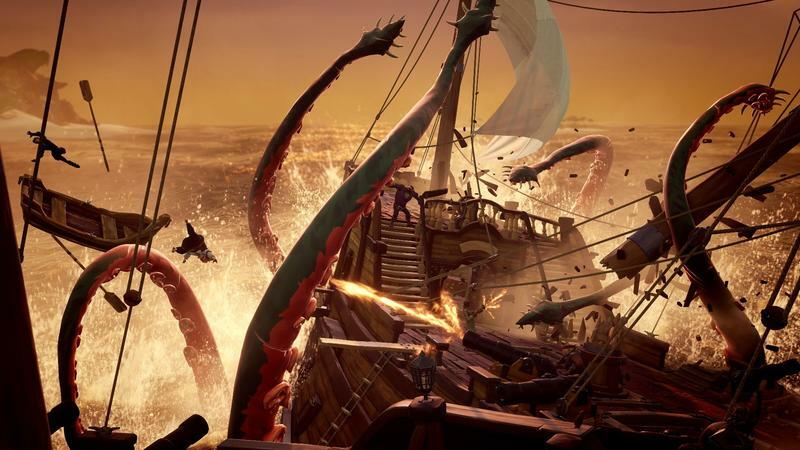 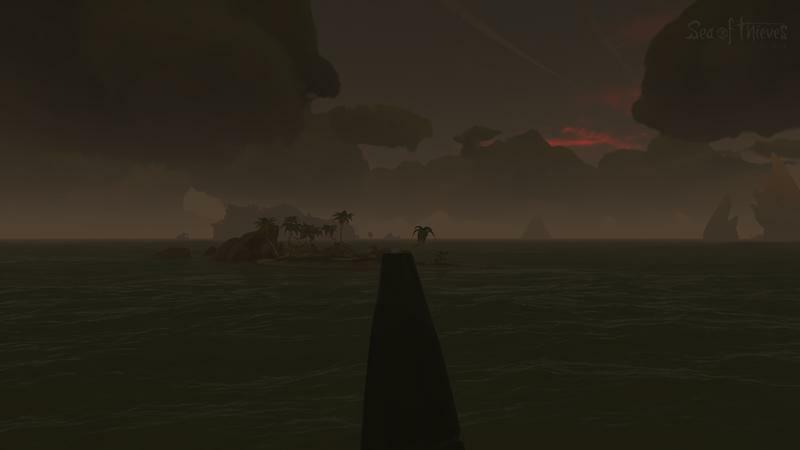 And it kind of feels like Rare was listening in on my private chat sessions, because the Hungering Deep, Cursed Sails, and Forsaken Shores address my concerns one by one. 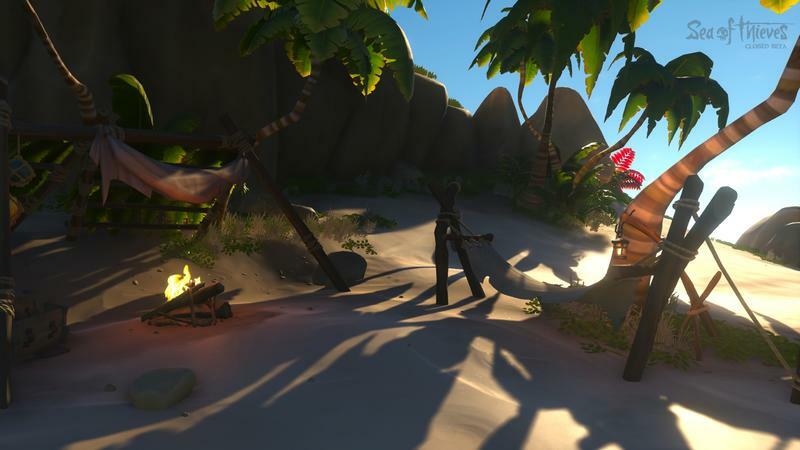 I sat down with Sea of Thieves Design Director Mike Chapman and Senior Designer Shelley Preston to talk about the direction of their pirate-y sandbox. 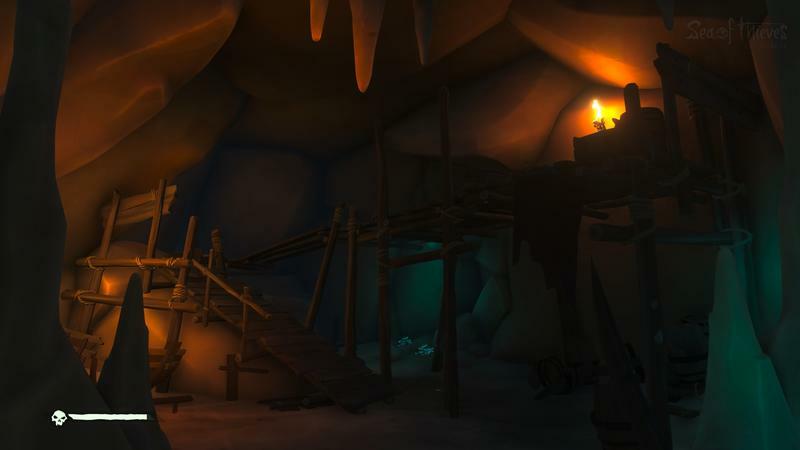 They had a plan for the sandbox, but like any good Dungeon Master knows, your plans will go up in smoke the moment players get their hands on them. 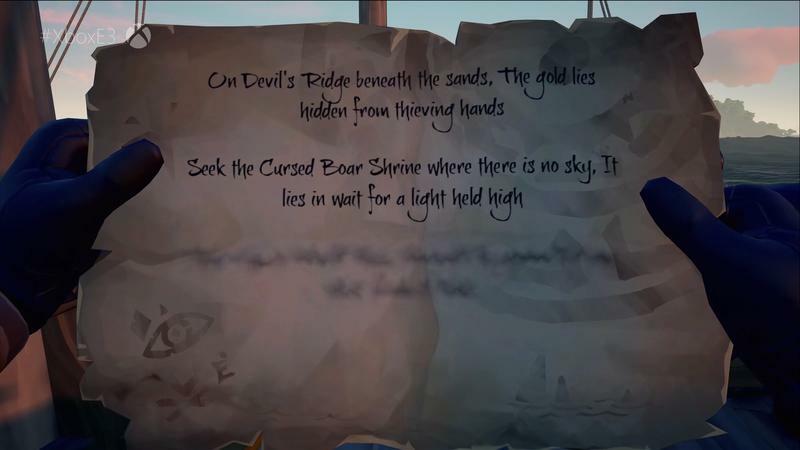 That's something Mike, Shelley, and the team now know. 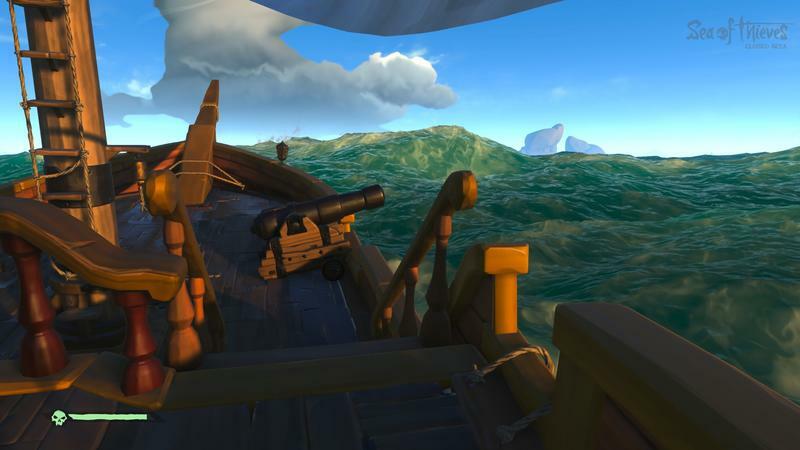 "We're immersing ourselves in Reddit, in the forums, and also business intelligence – giving us data around how people are playing, what feature they're interacting with – and so we kind of joke there's almost like a crime scene," Chapman said. 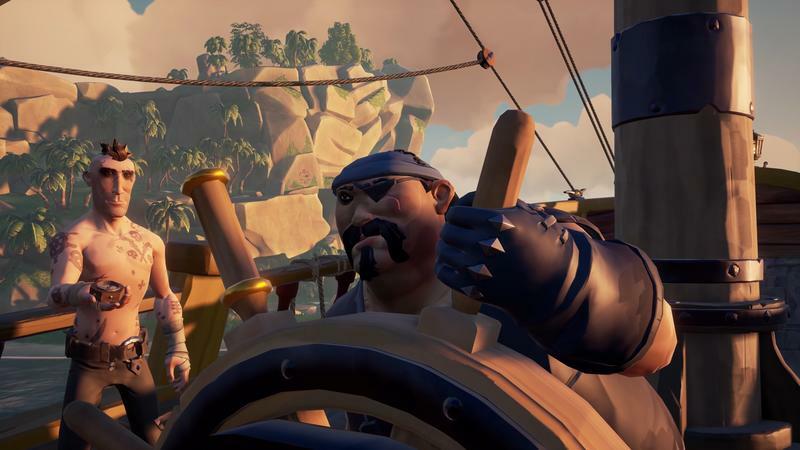 "Literally the week after we released the game, we tore up the roadmap that we had for the following year's plan," he continued. 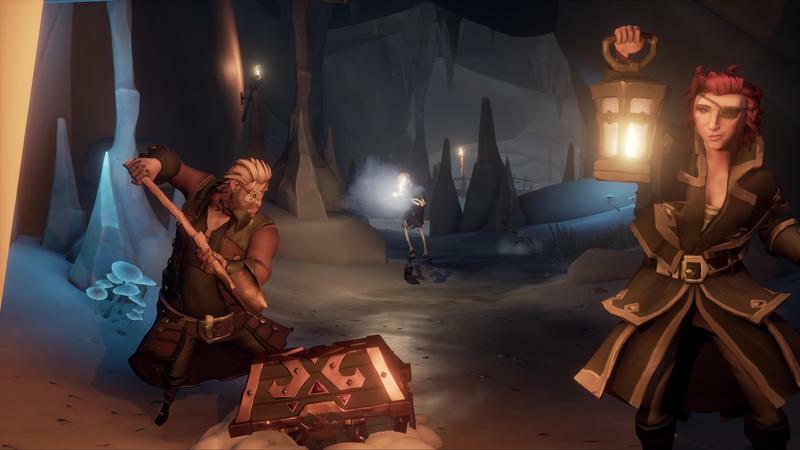 I'd worry with a statement like that that maybe the team didn't have a direction, but it's quite the opposite. 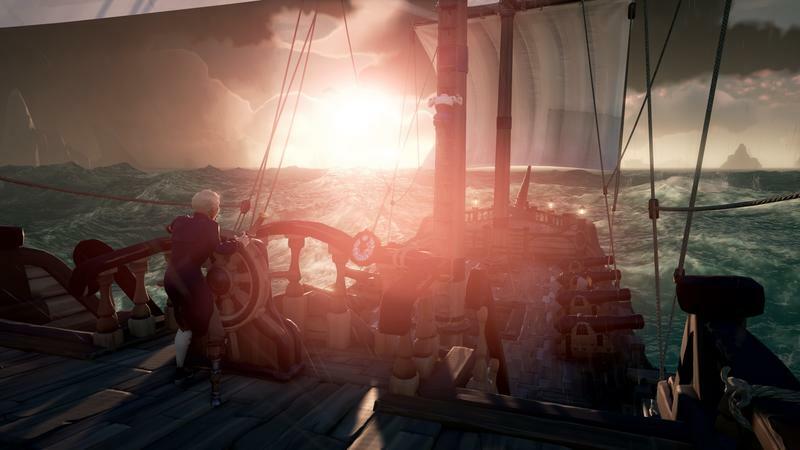 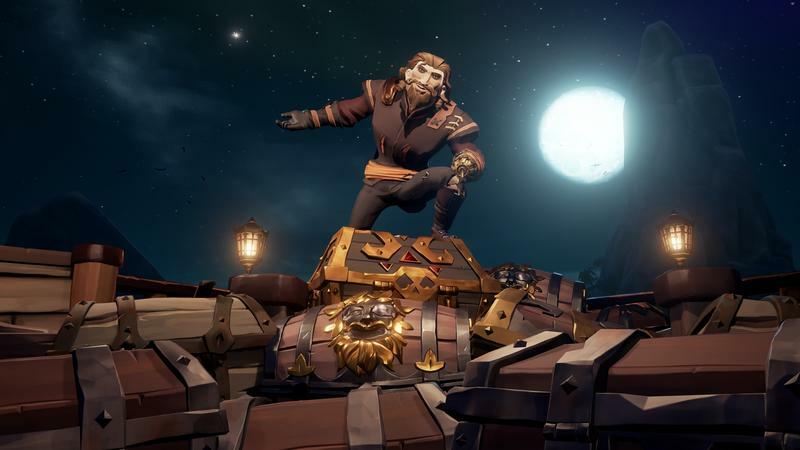 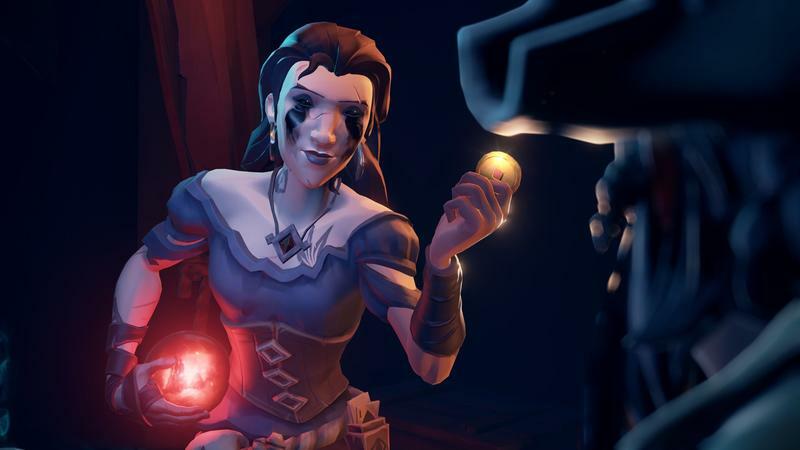 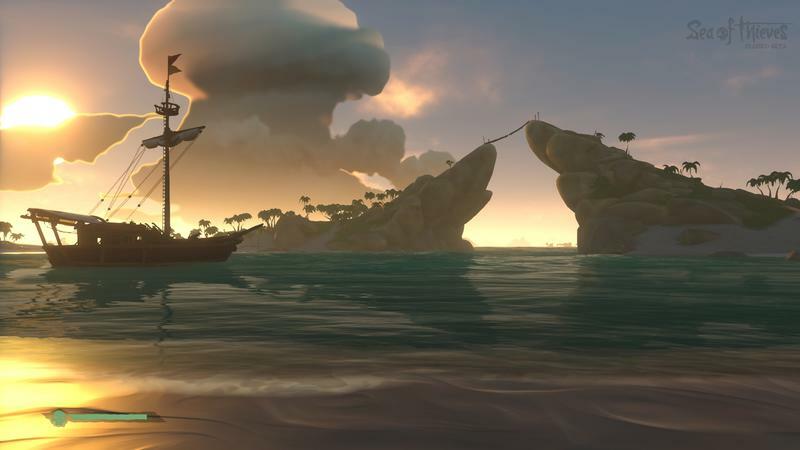 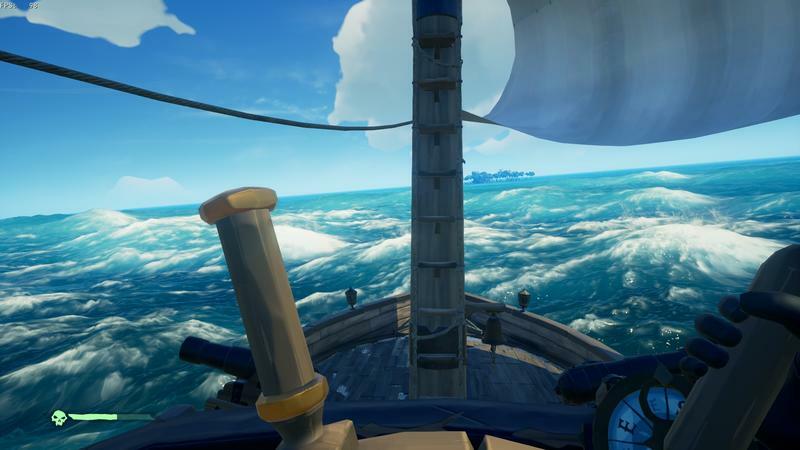 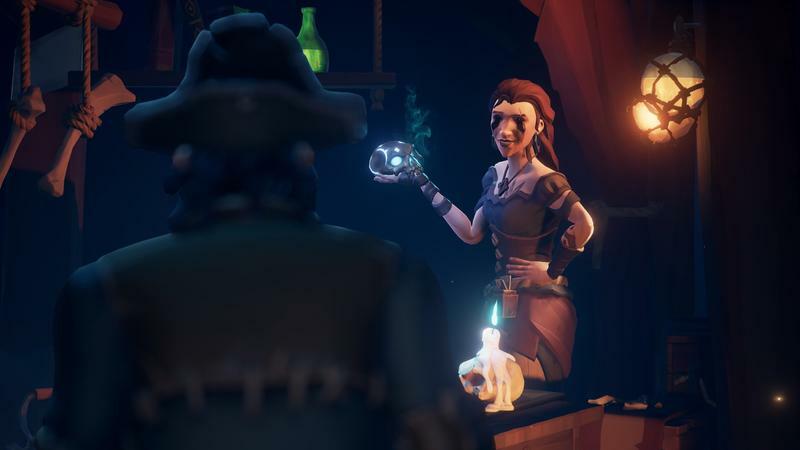 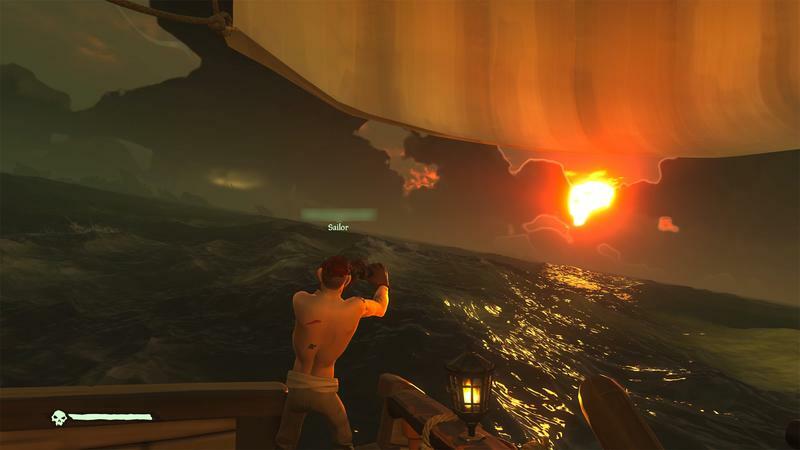 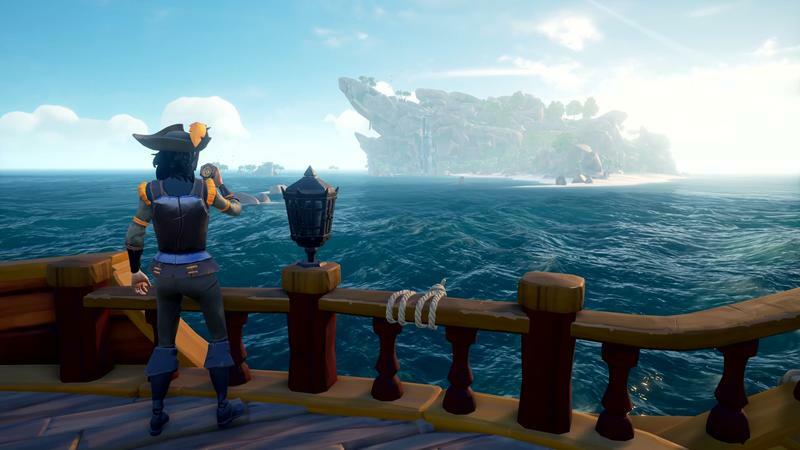 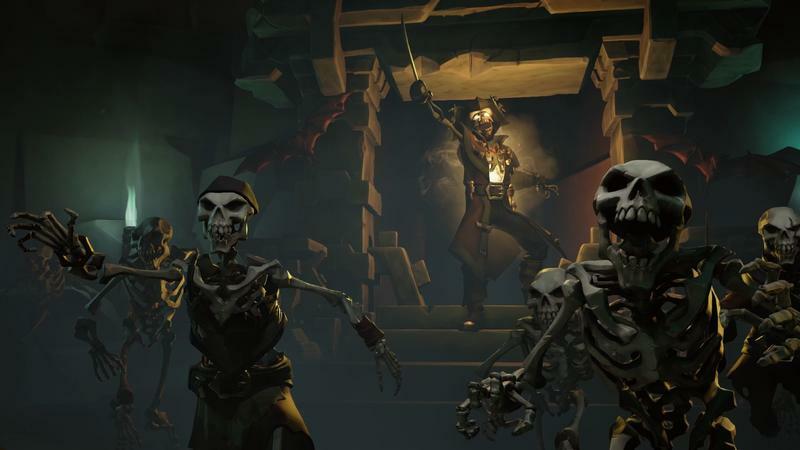 The way we play the game and talk about the game has given them a strong, clear path that seems like it works with Sea of Thieves' core pillars while giving the fans what they need to get the most out of the game. 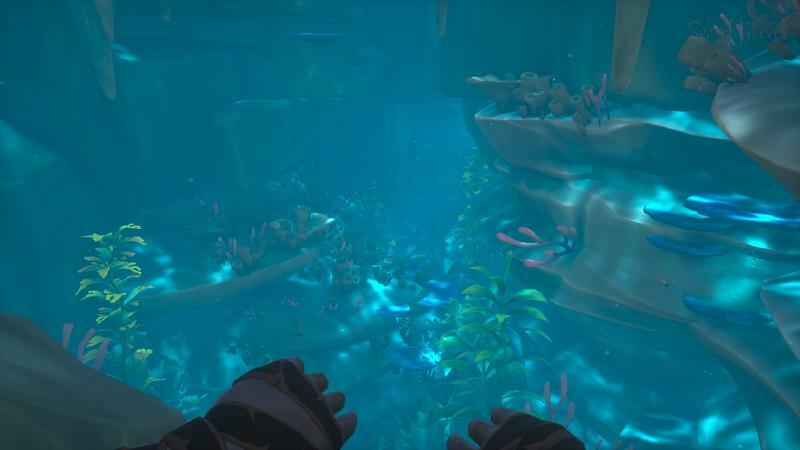 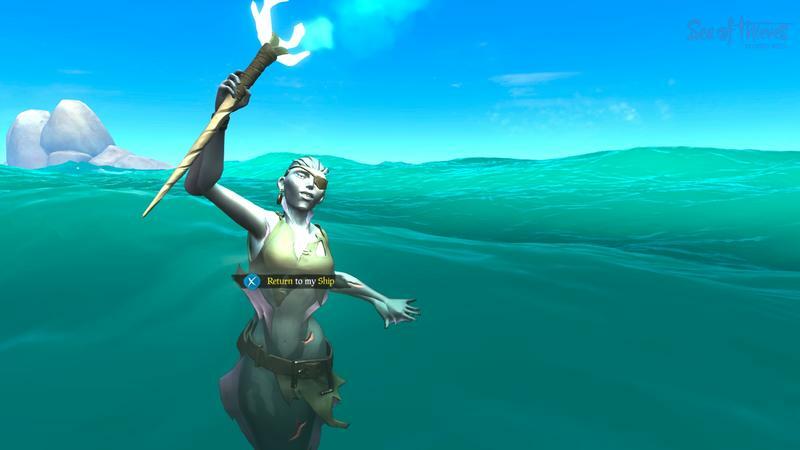 Case in point is the most recent content update, titled "The Hungering Deep." 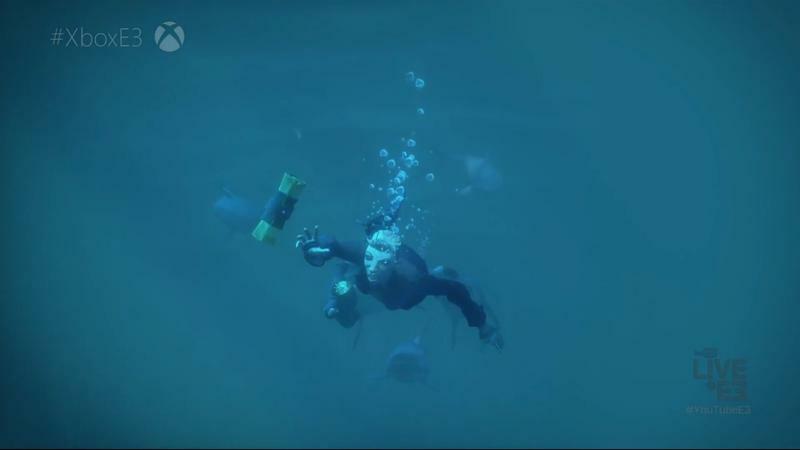 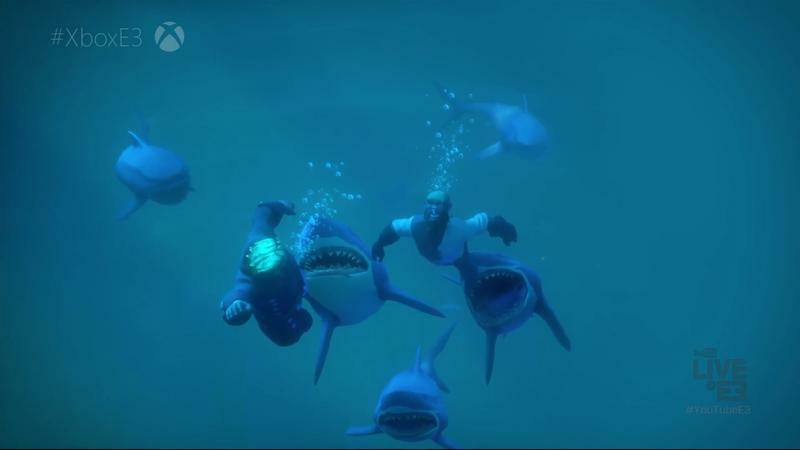 The event had players battling a Megalodon shark after tracking it down through a multi-part quest. 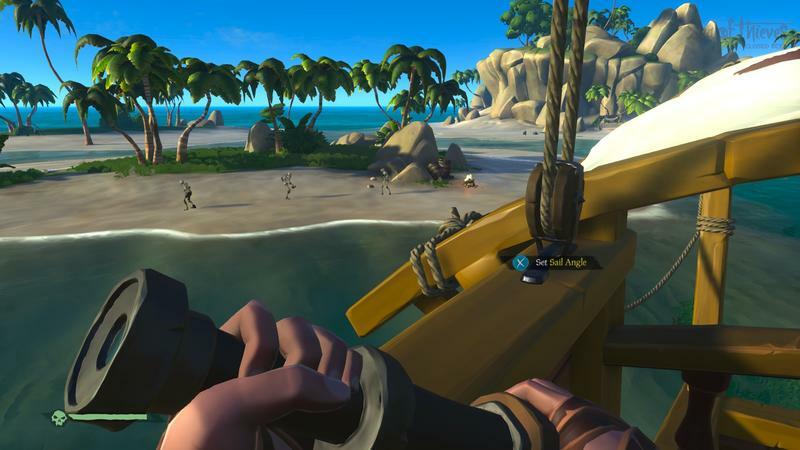 Players got a new item called the shouting trumpet, a new musical instrument, and the team added a flag system that would allow players to signal to each other what they might be in the game for. 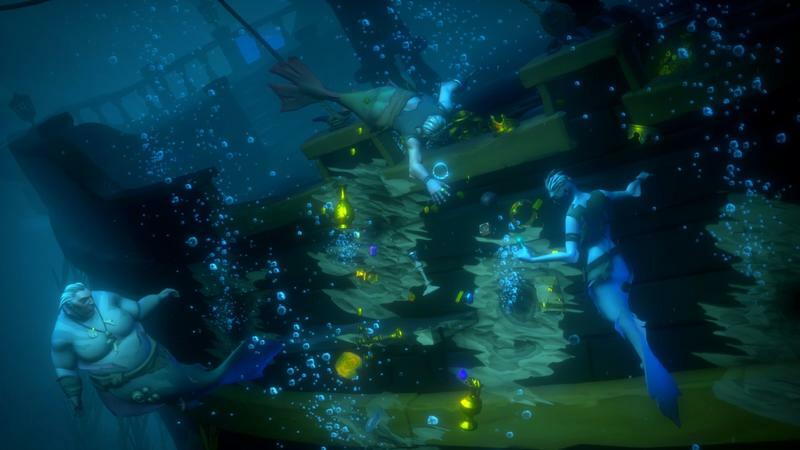 The main quest of taking down the shark required at least five players. 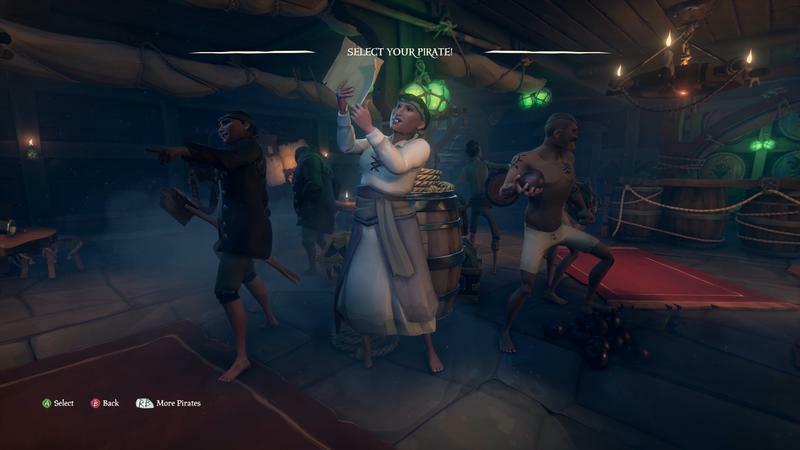 In a game where parties max out at four players, that meant that anyone who wanted to play the quest had to team up with other parties. 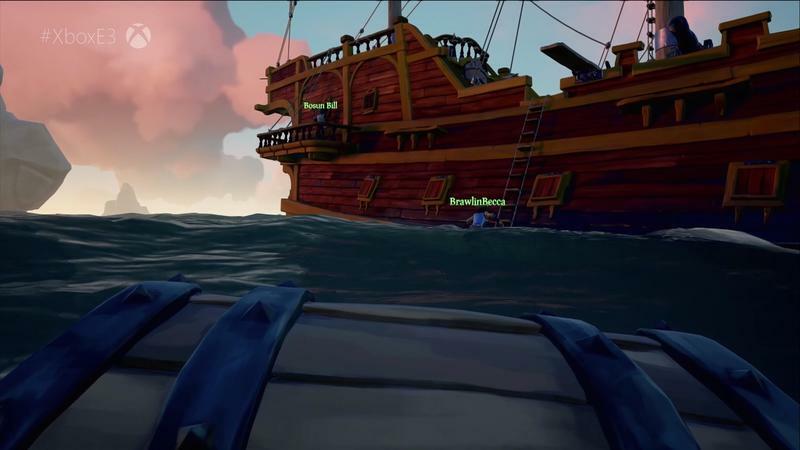 By the time I finished the quest, my team included me, two friends and a total stranger, and we picked up two other galleon ships worth of players by the end. 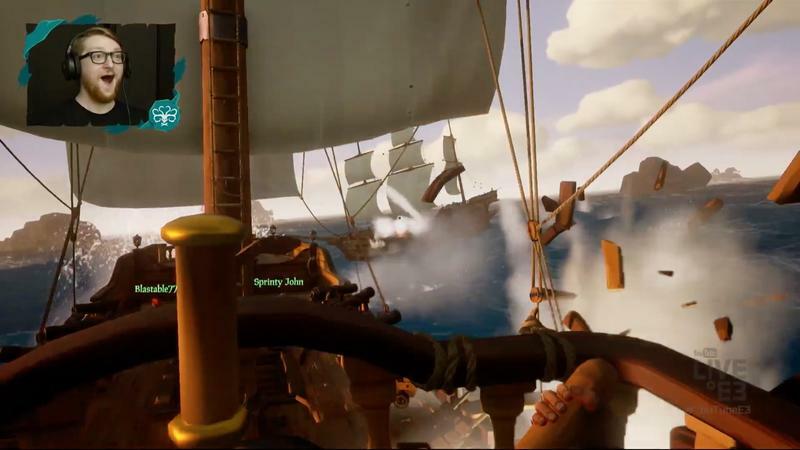 The team saw that ship battles dropped by 50 percent during the course of the campaign while introducing new activities, tools, and toys to encourage social interaction. 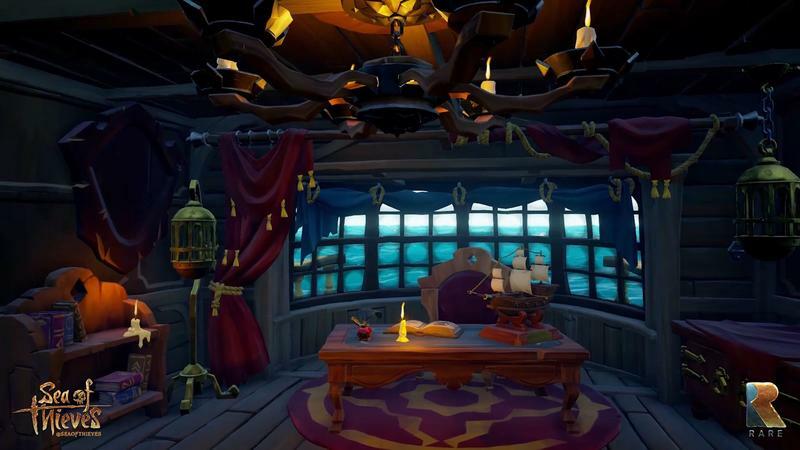 That's the blueprint for the content updates moving forward, all of which are set to release at no extra charge. 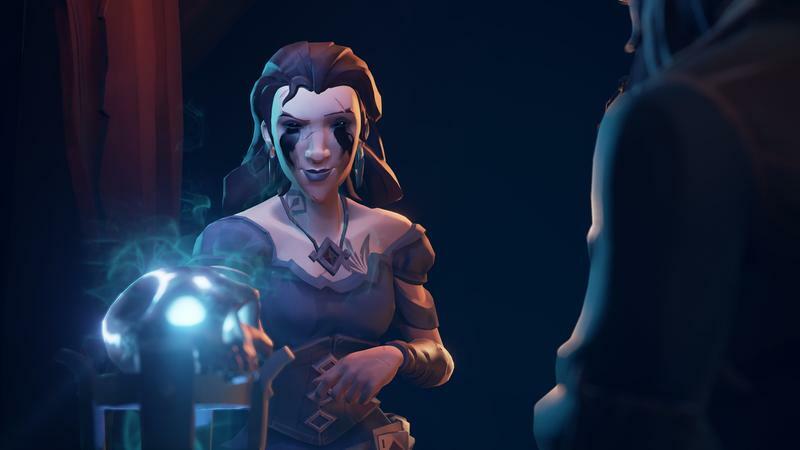 The next two updates, "Cursed Sails" and "Forsaken Shores" follow that plan in all the right ways. 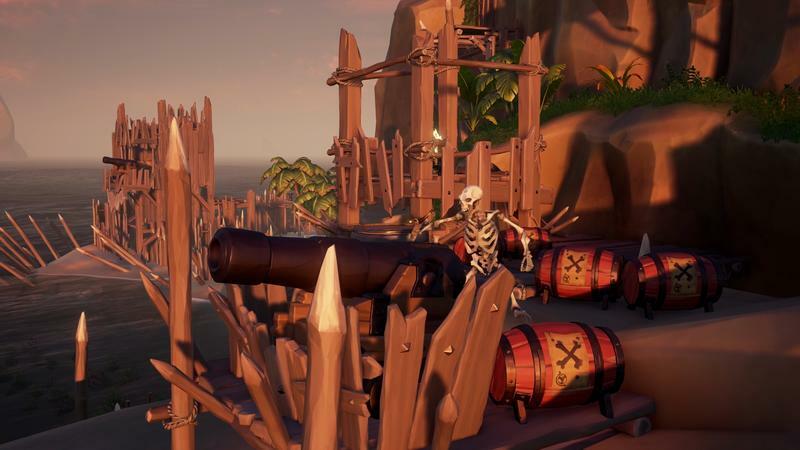 The first update brings skeleton ships. 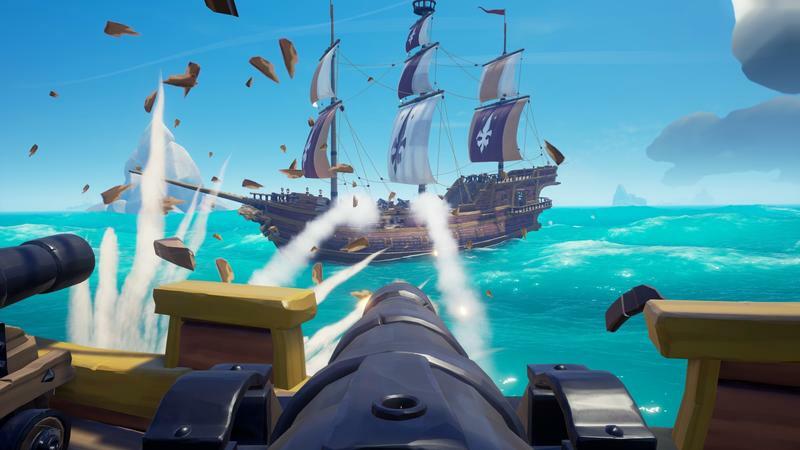 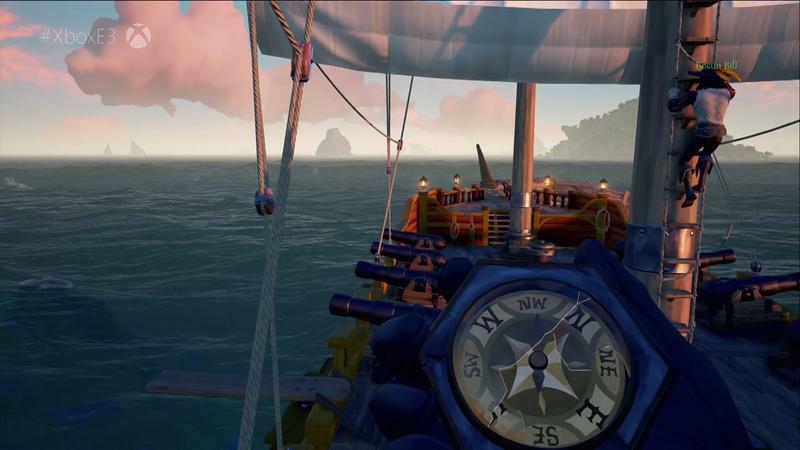 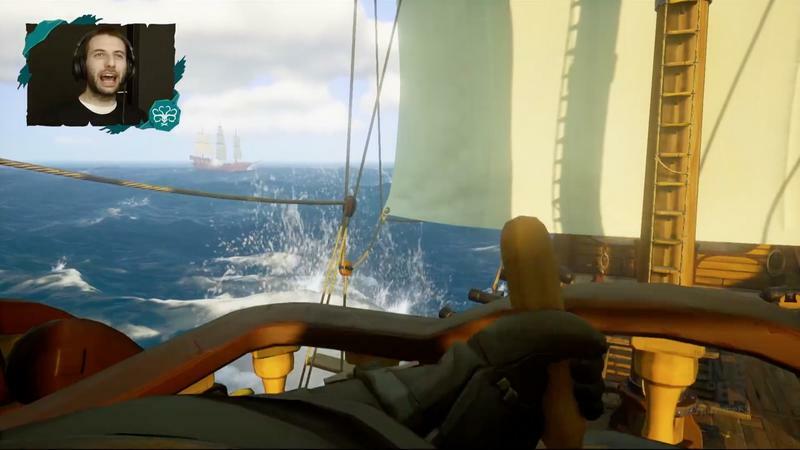 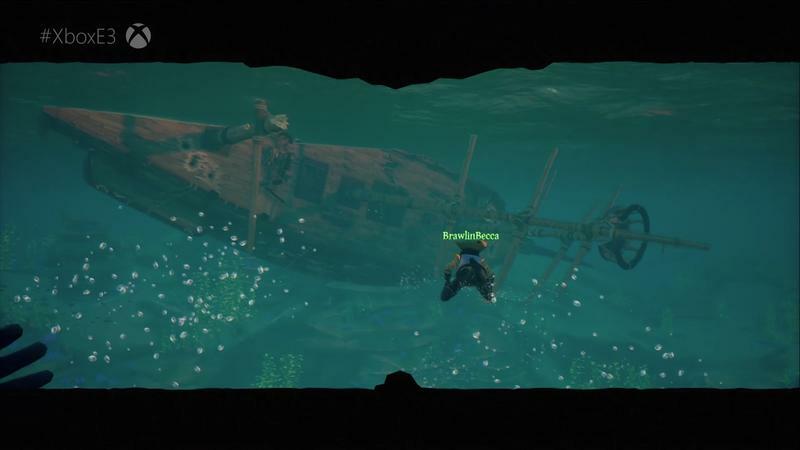 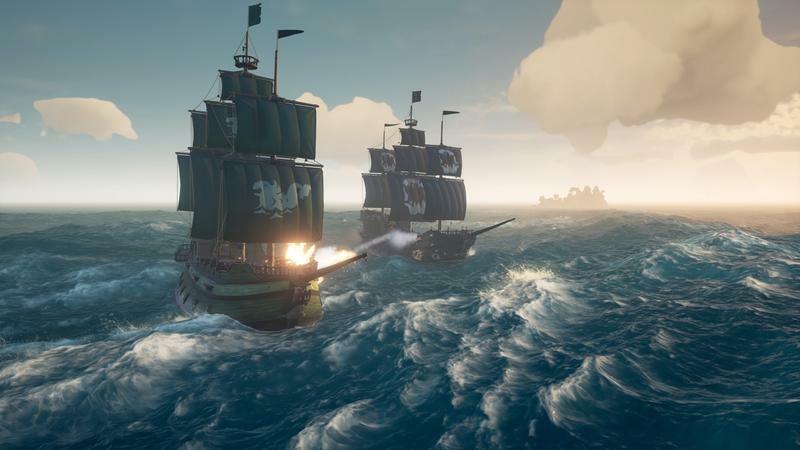 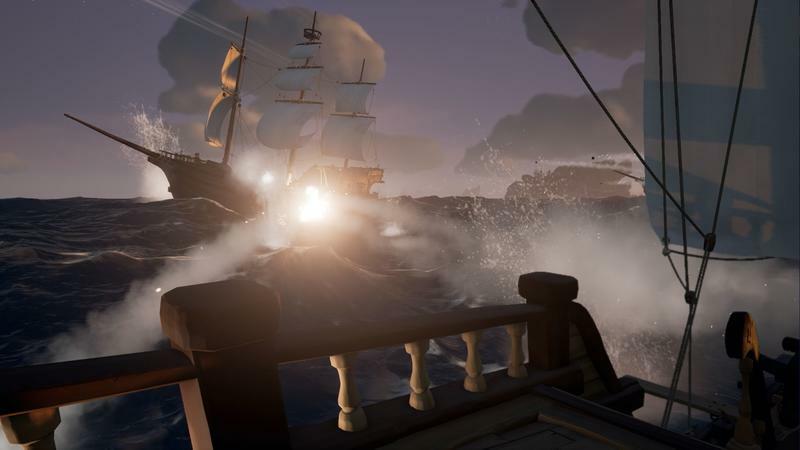 The team had never planned to bring player-versus-enemy ship play into Sea of Thieves, but they found a social benefit for that stuff. 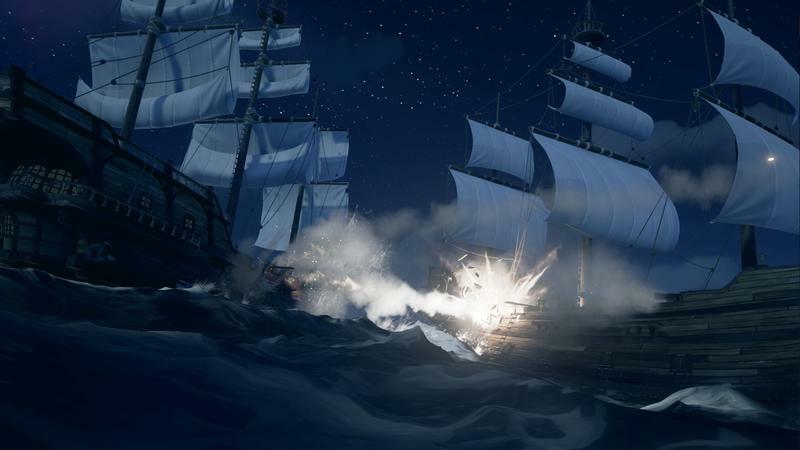 "A common threat… means that players can have that outlet for firing on the broadside and have that pirate fantasy of getting into battles. 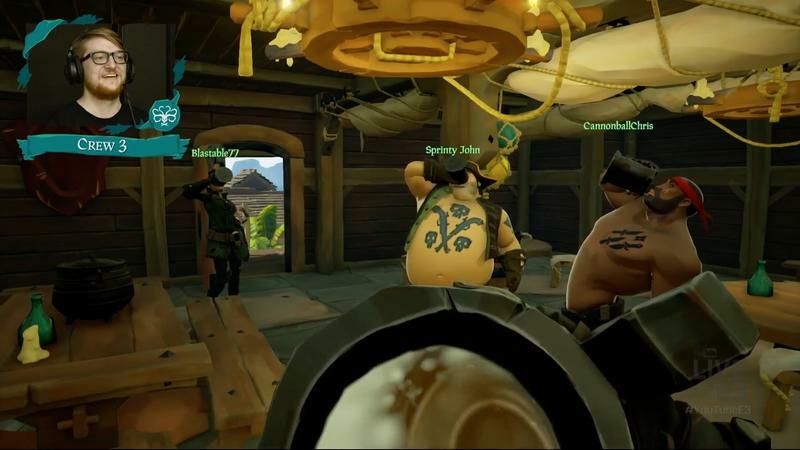 Now you've got this common threat, so I think it's gonna be more likely [that people will] play as a team." 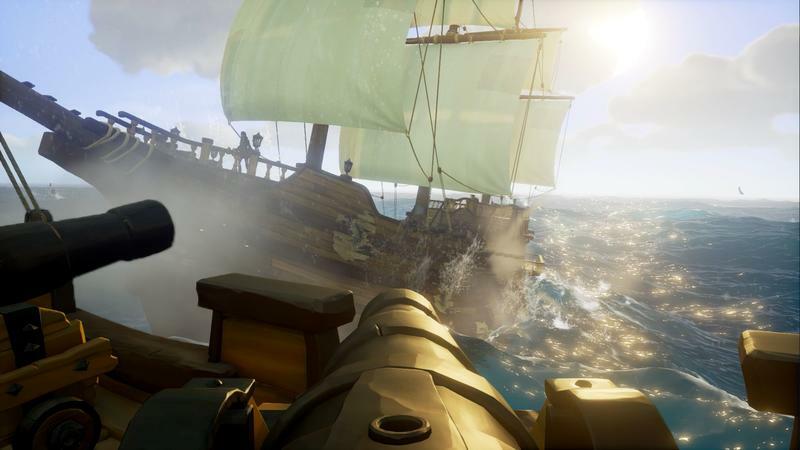 Those skeleton ships, though, aren't simply AI ships to fight and sink. 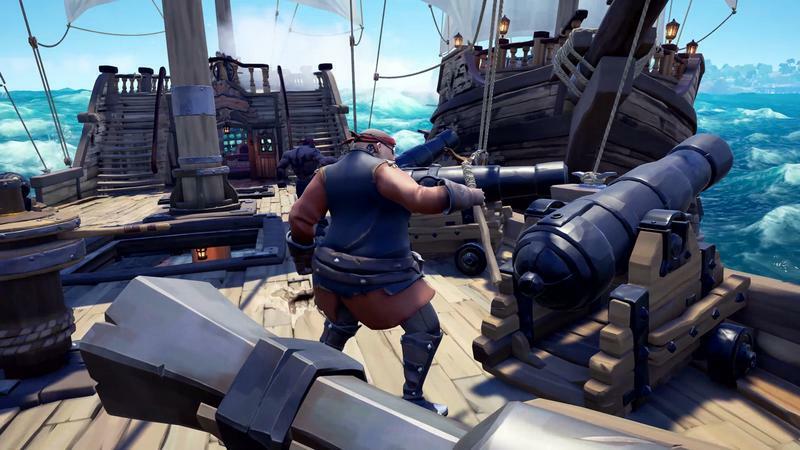 They'll be full of loot for players to grab, and they'll bring cursed cannonballs to the world, a weapon that's sure to change the way pirates interact with each other on the open seas. 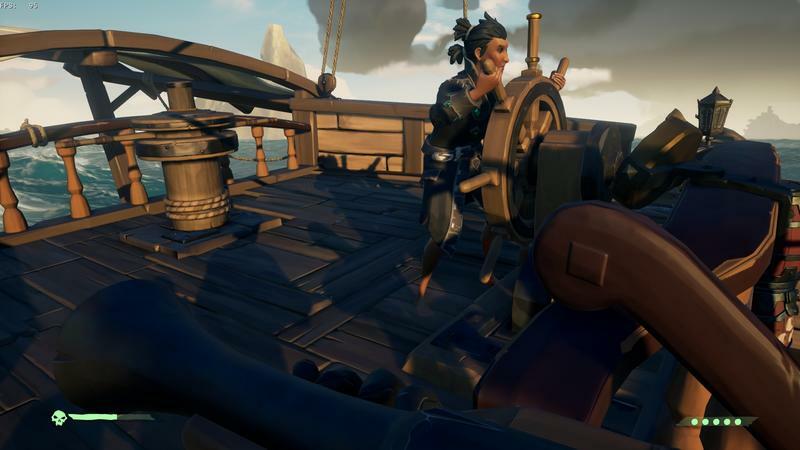 These cursed cannonballs will, when they hit an enemy ship, bestow status effects onto the ships and players, Chapman explained. 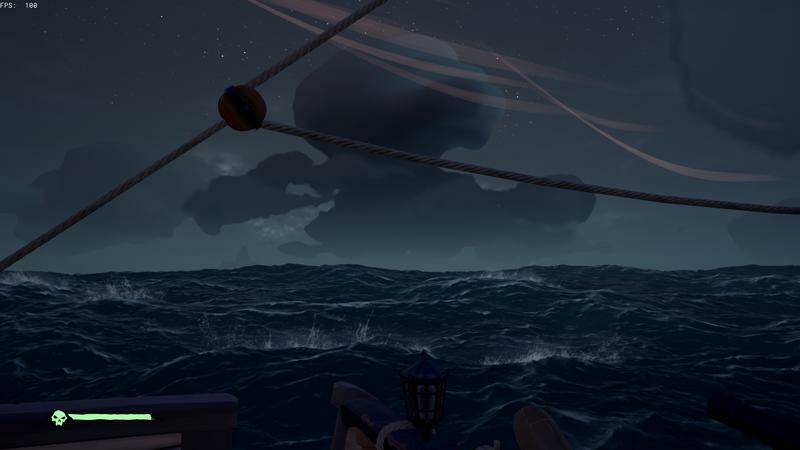 Cursed cannonballs could lock your rudder into place and force you to sail into a rock. 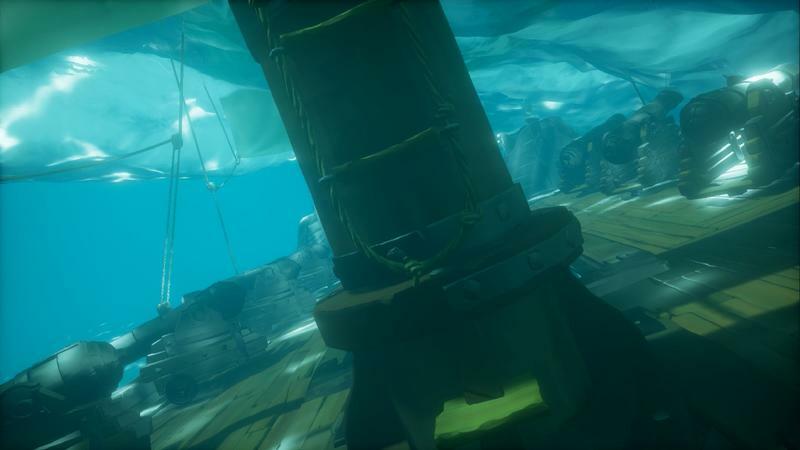 They could add ballast to your ship, forcing some leaks that weren't yet below sea level to start taking on water. 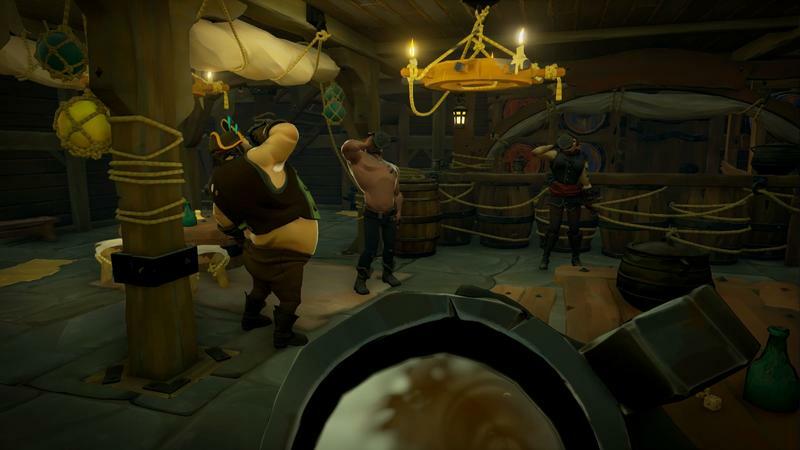 There's also a grog ball, which instantly makes all the player characters drunk, making their vision blur and controls scramble, or a jig ball that forces everyone into a dance. 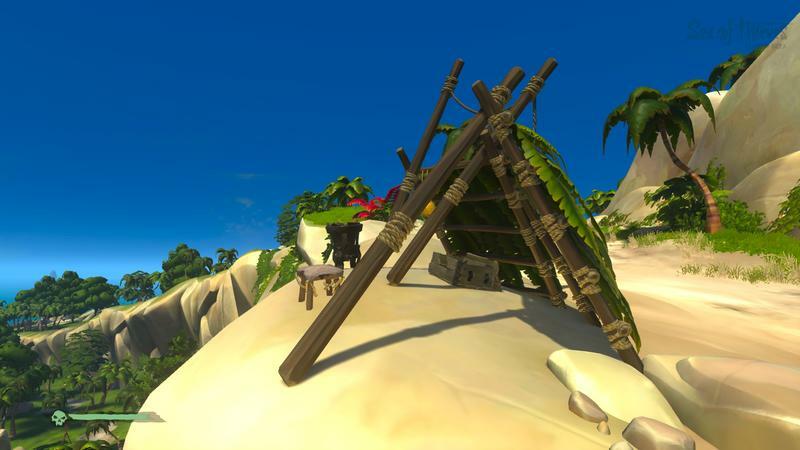 Here we see tools that players can not only use strategically, but also to create moments of humor. 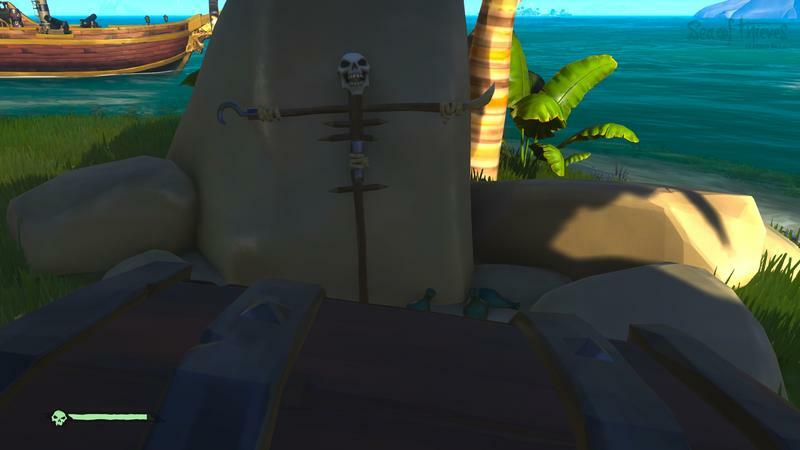 If a grog ball hits my ship, I'm going to have a hard time not cracking up. 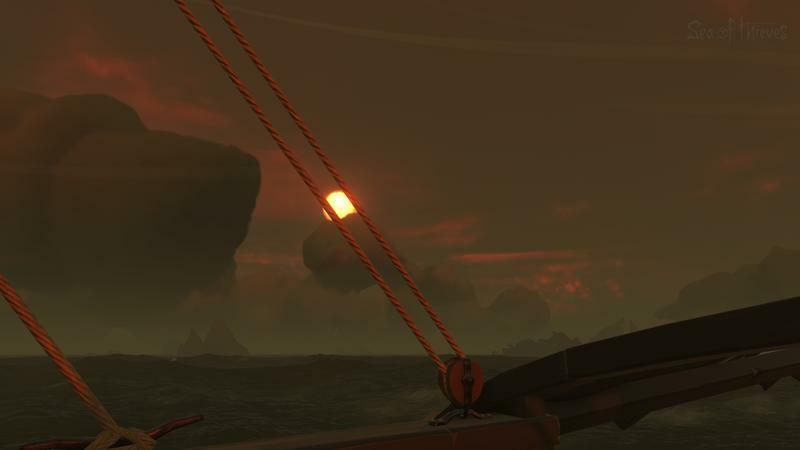 These cursed cannonballs will enter the world with the skeleton ships, but they'll propagate from there, integrating into the world after that. 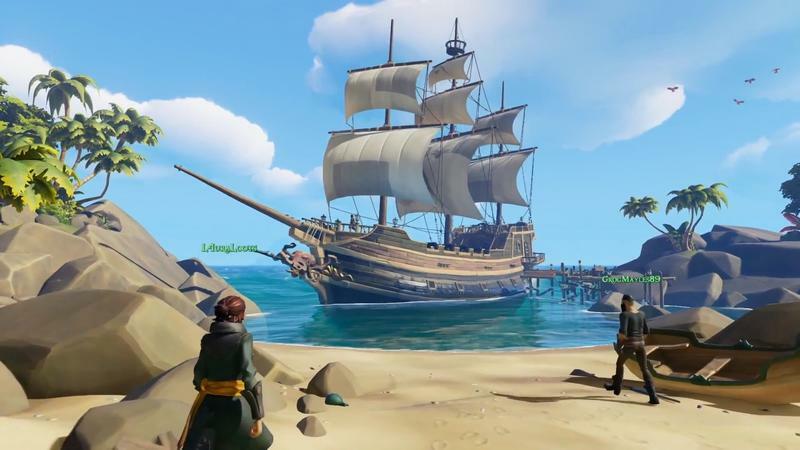 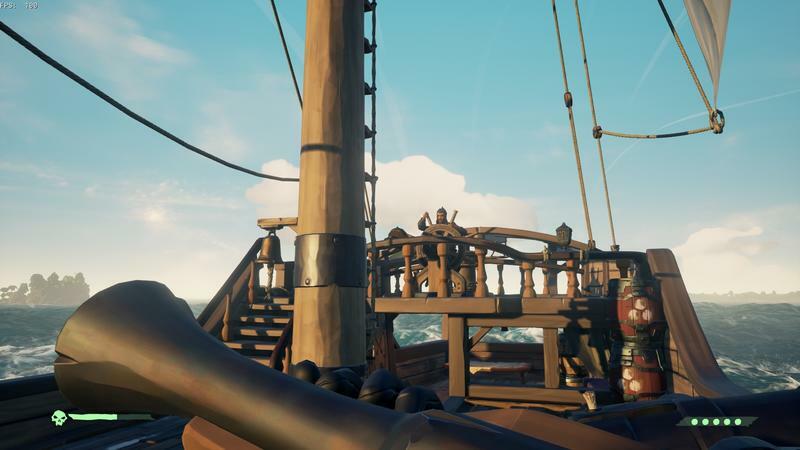 The brigantine ship that joins the game with the update allows teams of three to hop on a ship together without having an empty spot onboard as they do now with the galleon ship, making the game that much more friendly for groups of different sizes. 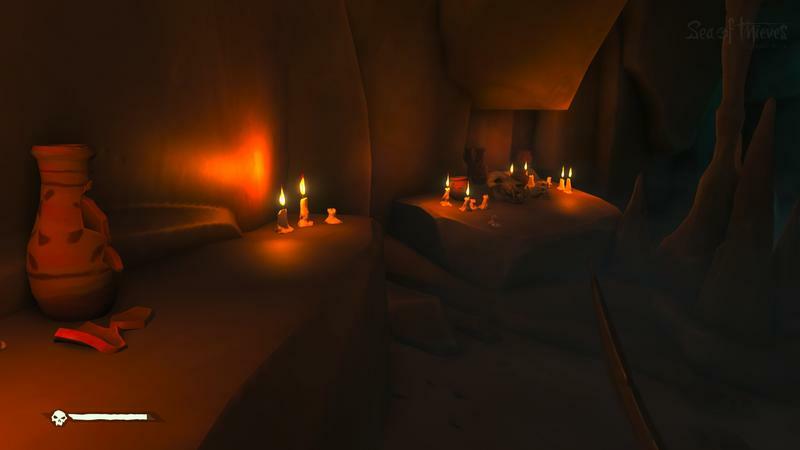 But it's also important to add new emotional experiences to the game. 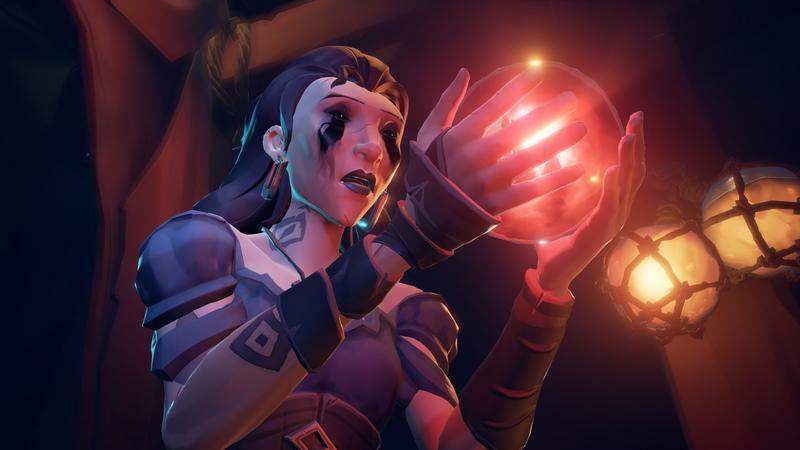 That's where September's Forsaken Shores update comes in. 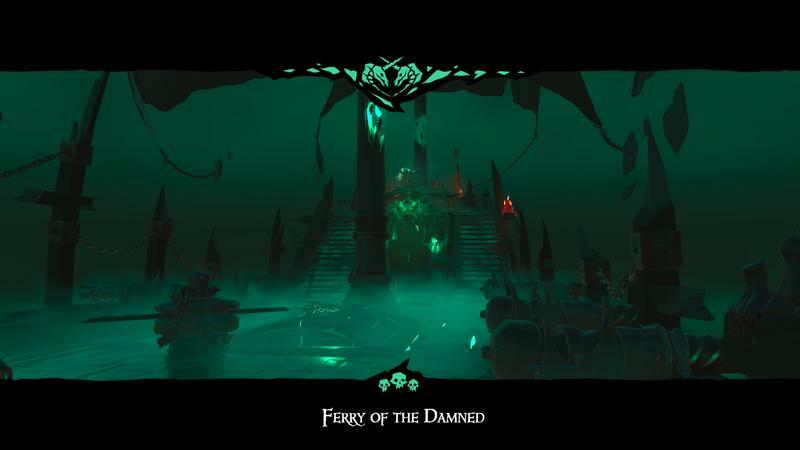 Shelley Preston is the senior designer on this. 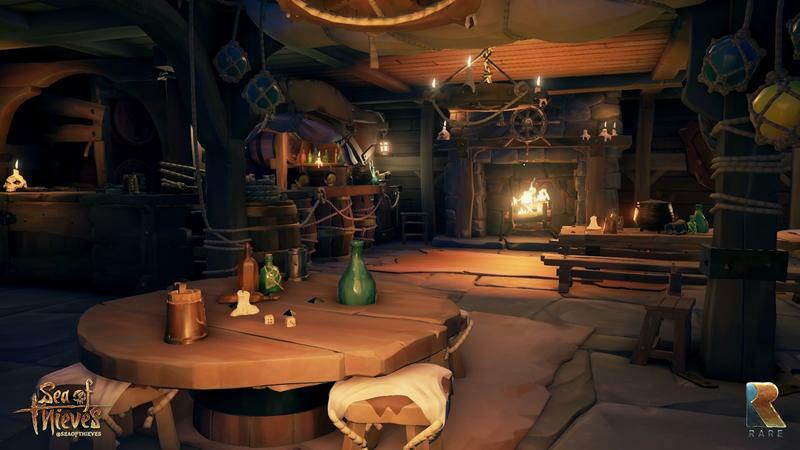 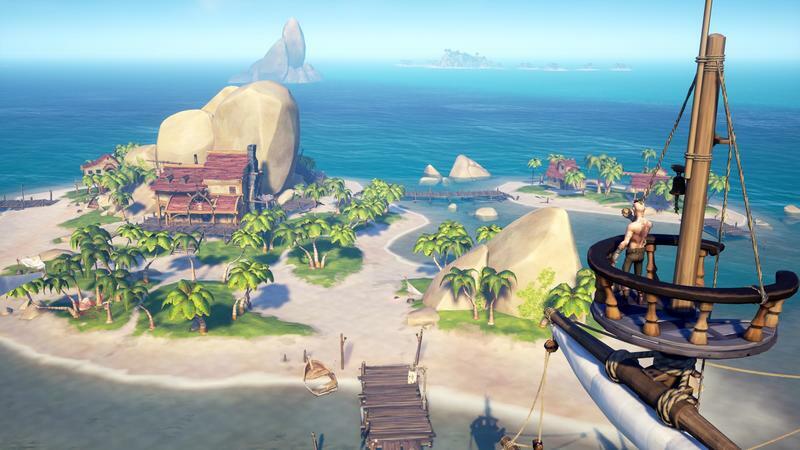 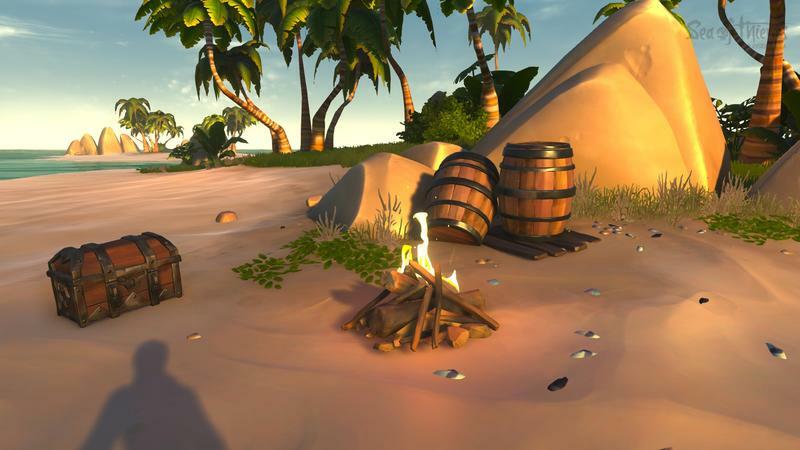 "Another thing that we've heard that our community wants is more areas to explore, more islands, new places to go in Sea of Thieves, and as with everything in Sea of Thieves, we look at it and think of the best way that we can grow these experiences. 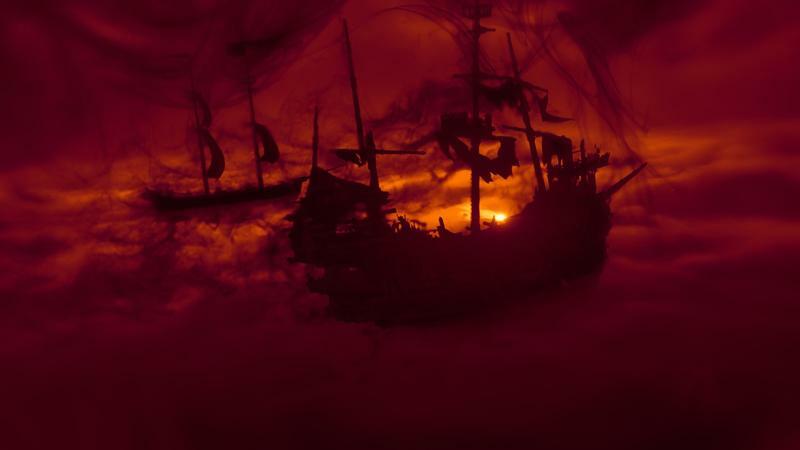 You have the three areas that you know at the moment, and they all feel different tonally and emotionally." 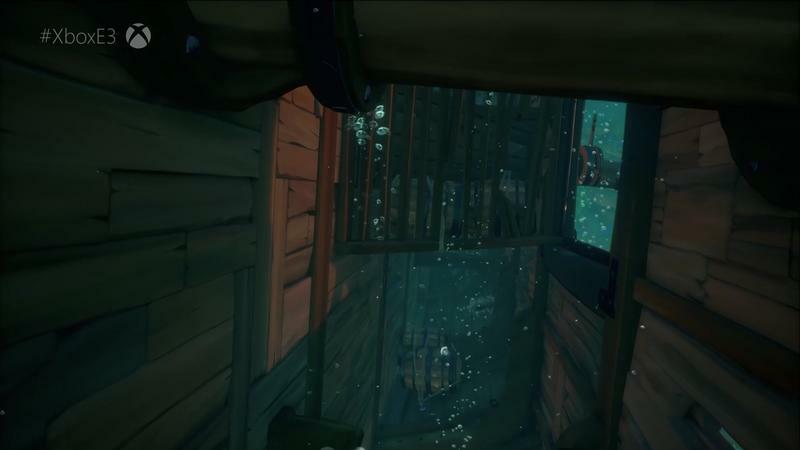 And that's one of the risks with a sea, even if it's full of thieves. 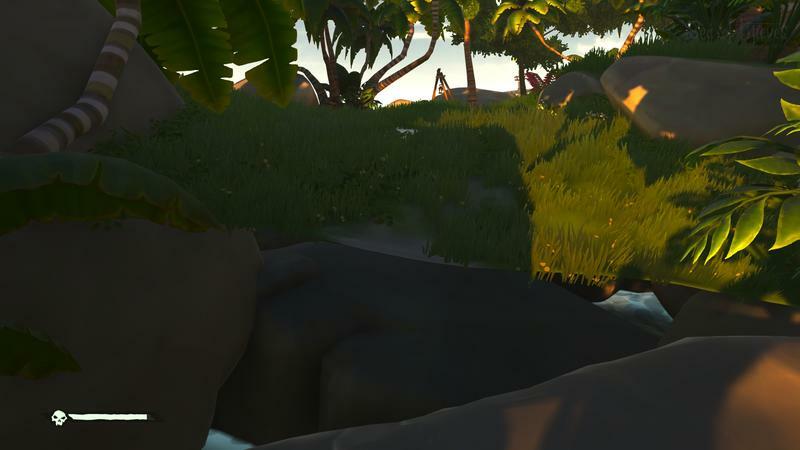 Water is water, right? 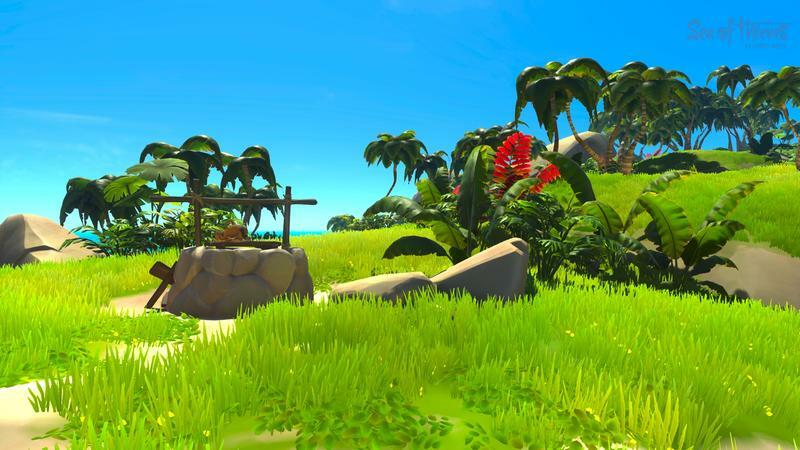 The game as it is right now has bright Caribbean-style parts and darker, more foreboding areas, so what next? 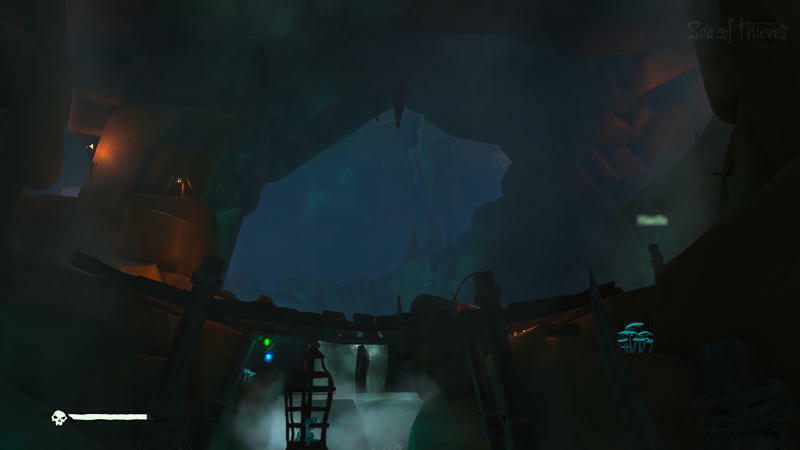 "We didn't want to just add a fourth area that did that again, with just a visual difference. 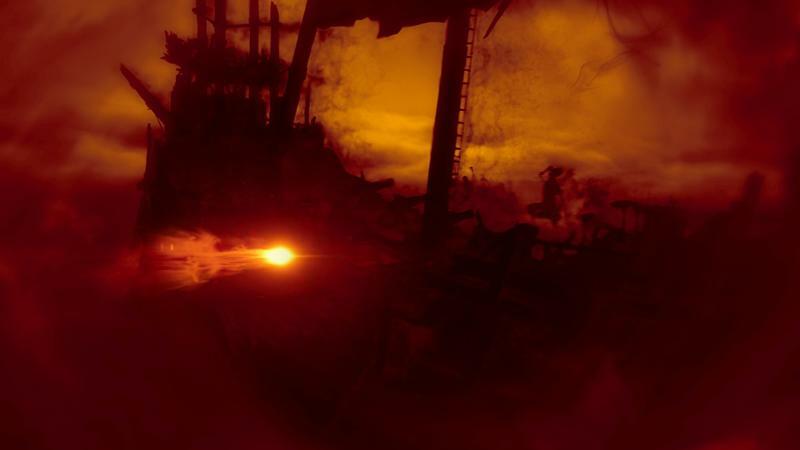 Of course [the fourth area] will be visually different, with that emotional impact and difference on the gameplay. 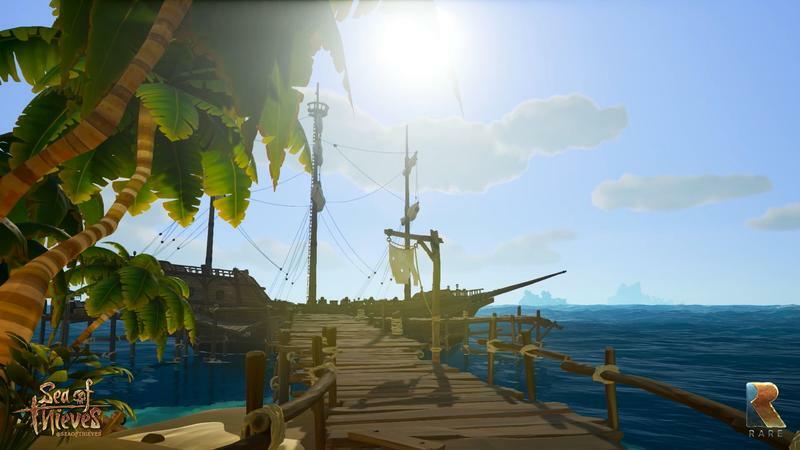 We wanted the visuals to have an actual impact on the gameplay." 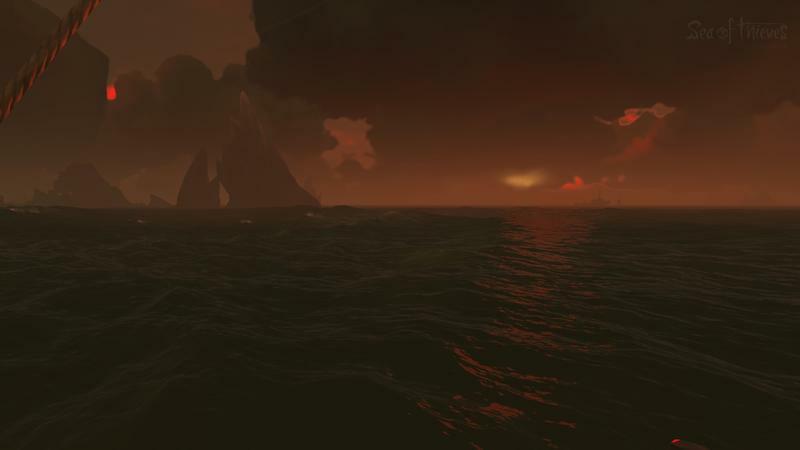 In "Forsaken Shores," the islands themselves are the threat. 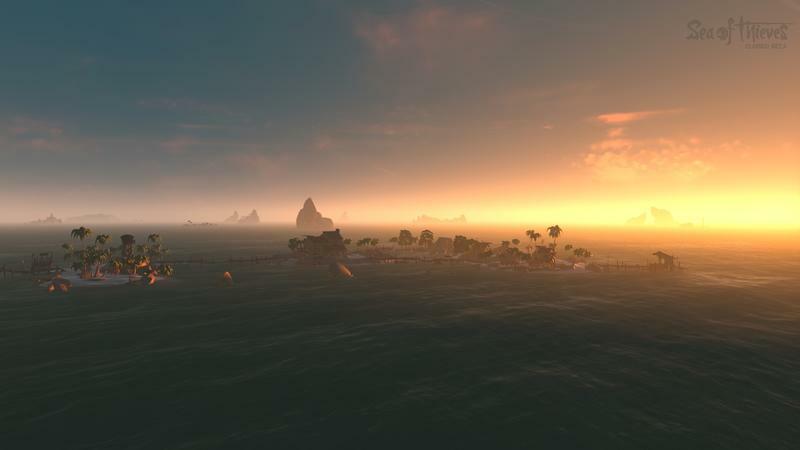 The islands are unstable, with volcanic activity going on. 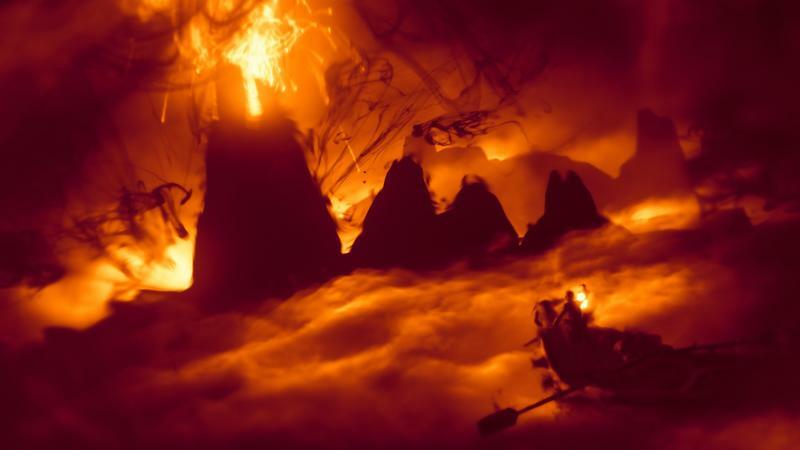 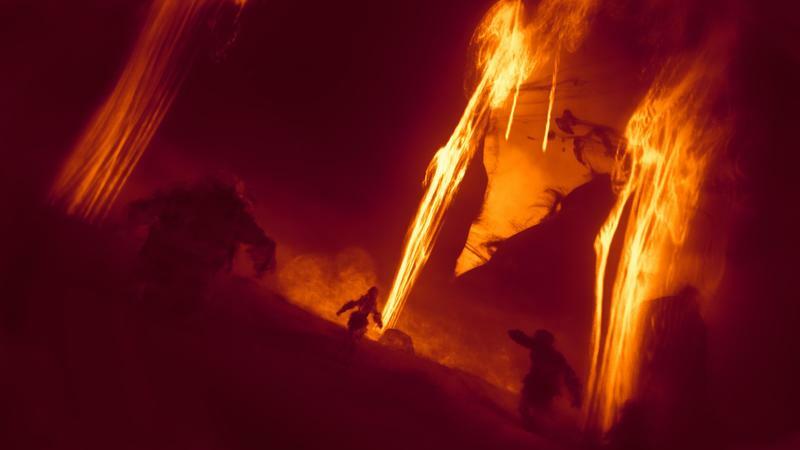 "You're going to set foot on the island, you'll try to do your quest – tremors, the volcano starts exploding, firey rocks rain down damaging your ship and players. 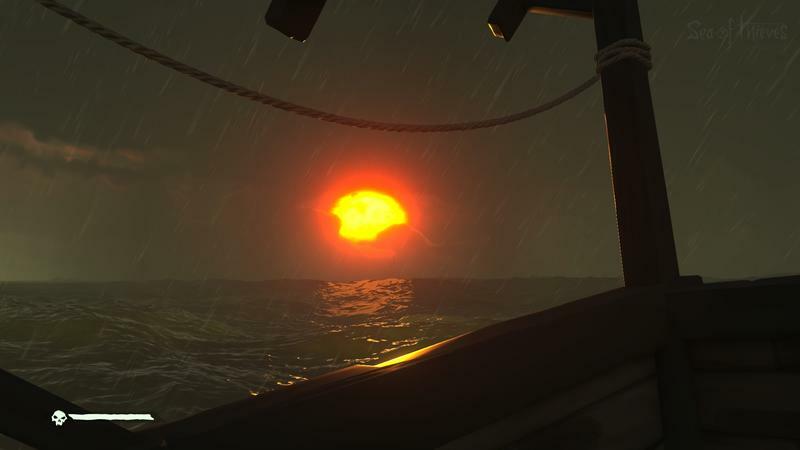 It's unpredictable and emergent, and it lends itself perfectly to bringing in the rowboat at this time as well. 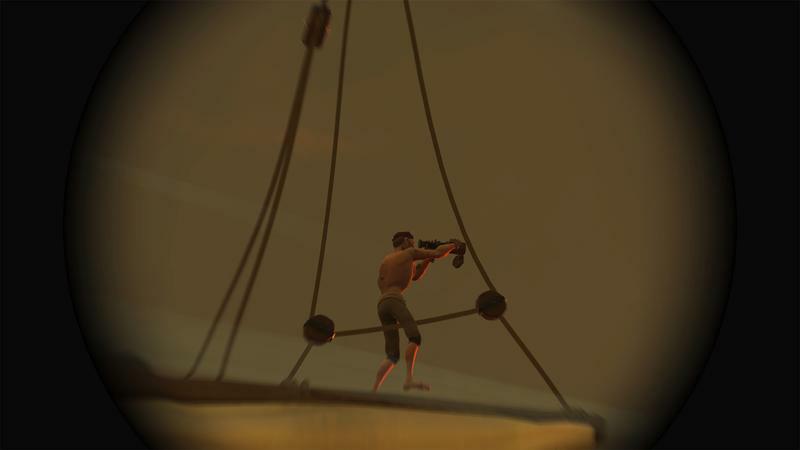 You've got these more dangerous waters to navigate, so you want to make yourself a smaller target. 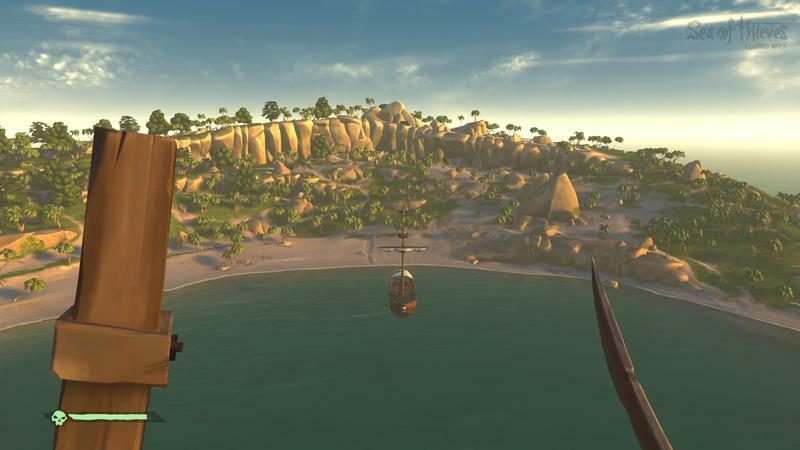 You put the boat down a bit further away and row out to the island." 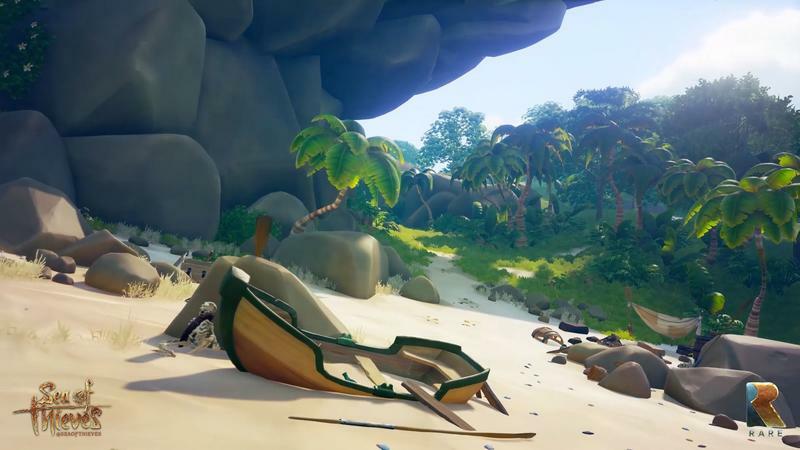 The rowboat also lets players bring a pile of treasure from the island to the boat all at once, making the process of looting and cashing in a lot less troublesome, too. 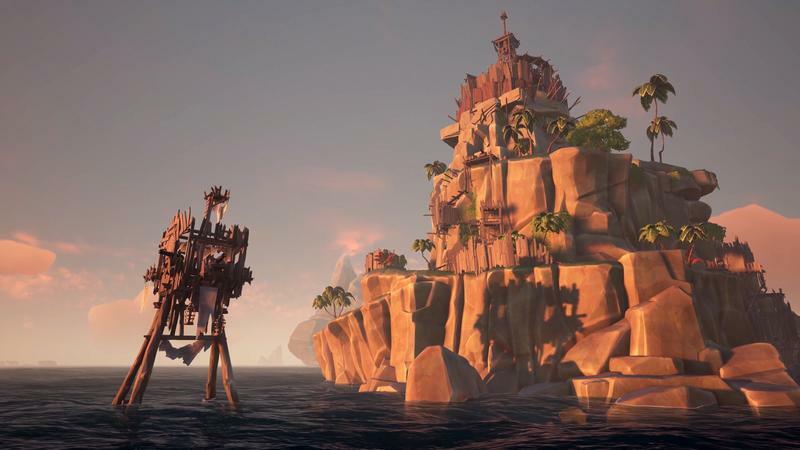 Getting into port without crashing your ship but getting close enough to make cashing in easier has been tough, especially with the worry of other players trying to profit off the sight of a galleon docked in port. 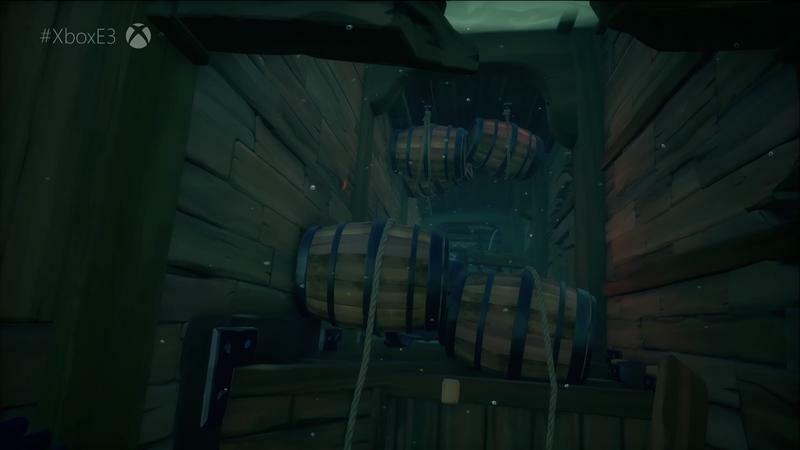 Of course, the boats could be used as a way to transport explosive barrels and set traps. 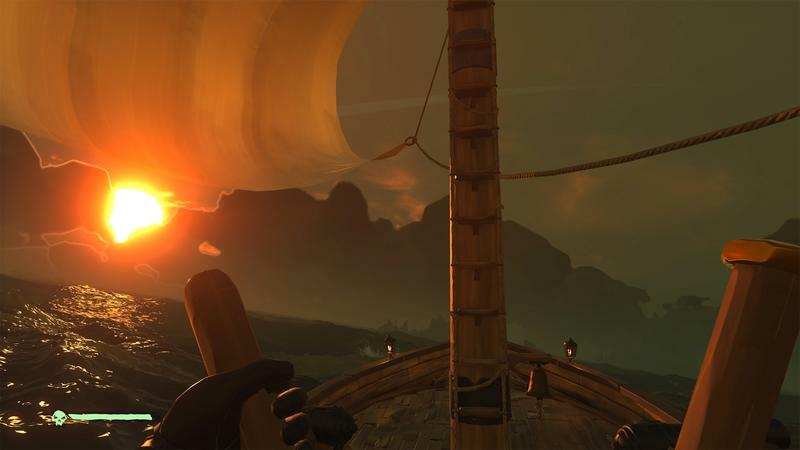 So much of this – the flags introduced in Hungering Deep, the skeleton crews and new boat in Cursed Sails, the new areas and rowboats in Forsaken Shores – each of these addresses my primary concerns with Sea of Thieves, one after another. 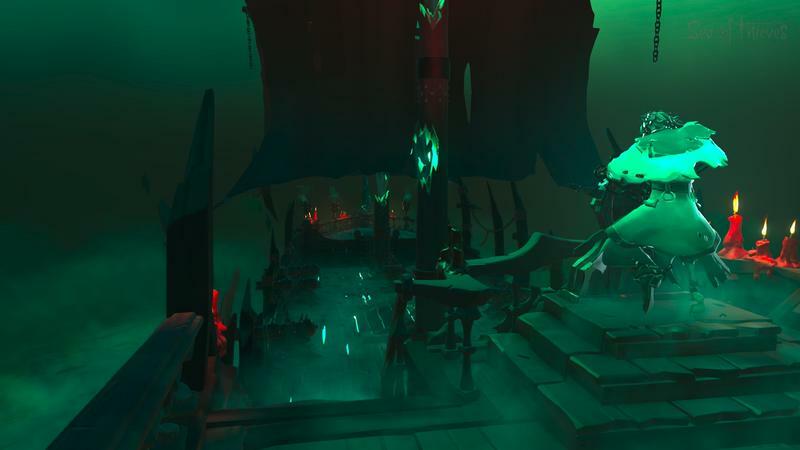 But that all sounds like a couple of one-time fixes, which is not what Rare's going for. 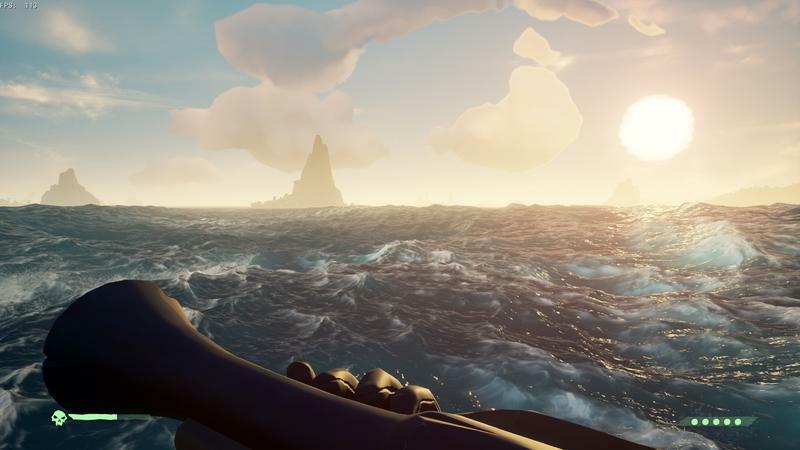 Since the game's release, Chapman told me that the studio has amped up production to the degree that they have more people working now than they did before the game came out, split into four teams. 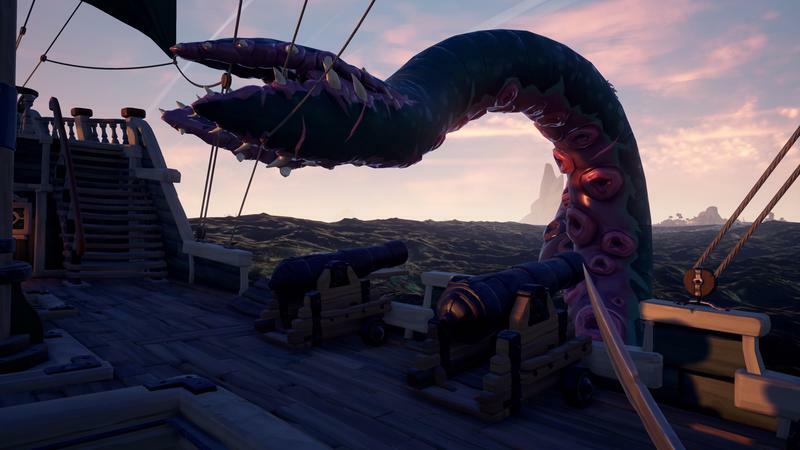 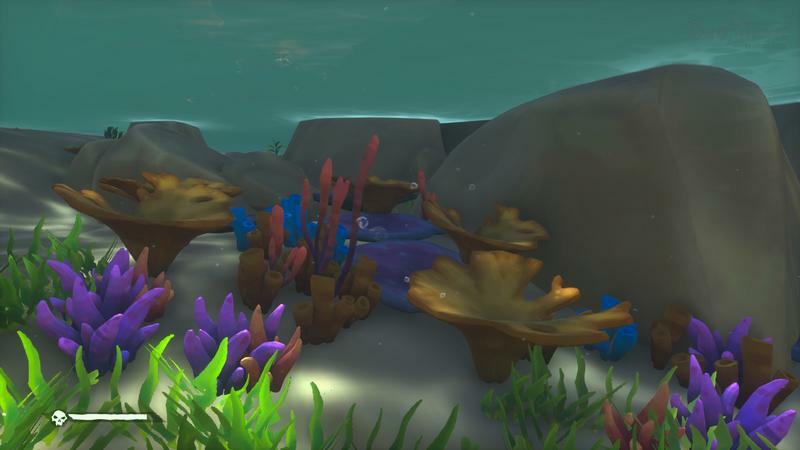 The four teams are leapfrogging each other – the team that just released the Hungering Deep is now at the back of the line working on a content pack that hasn't been announced, with another team just ahead of them in line for whatever's coming around in November. 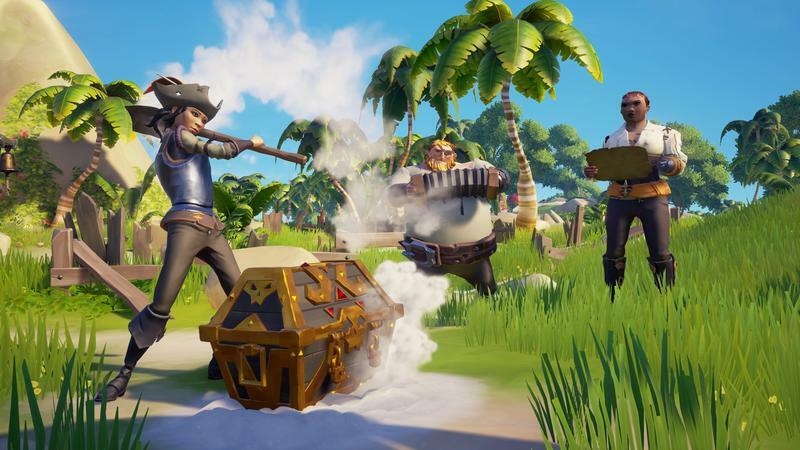 So the team at Rare has built up this sort of content train that's looking to not just add new things to shoot at, but new way for players to interact with each other, giving us incentives to do things other than blow each other up without making it so that we can't do that. 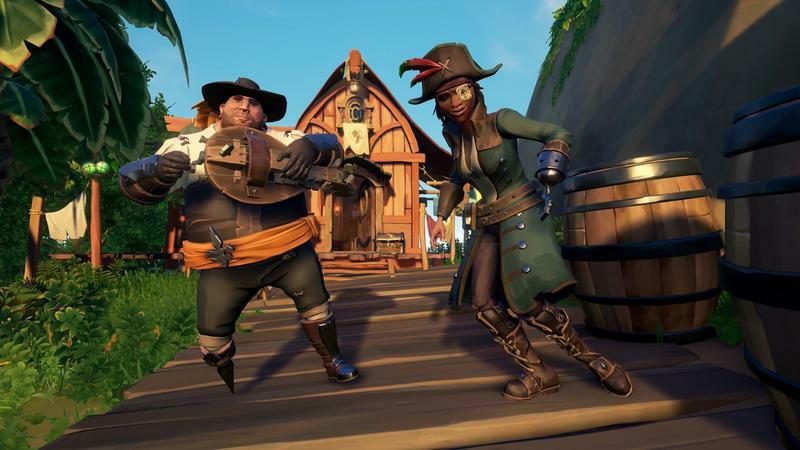 And for the foreseeable future, we can look forward to this regular pace of content updates, all as free additions, that will keep us playing. 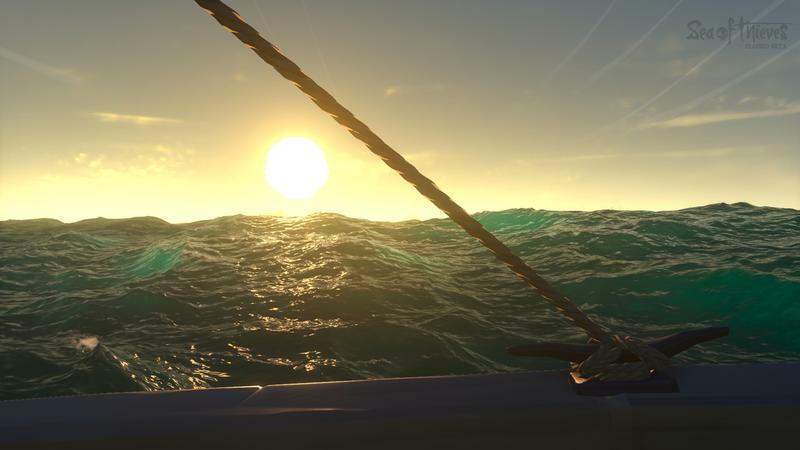 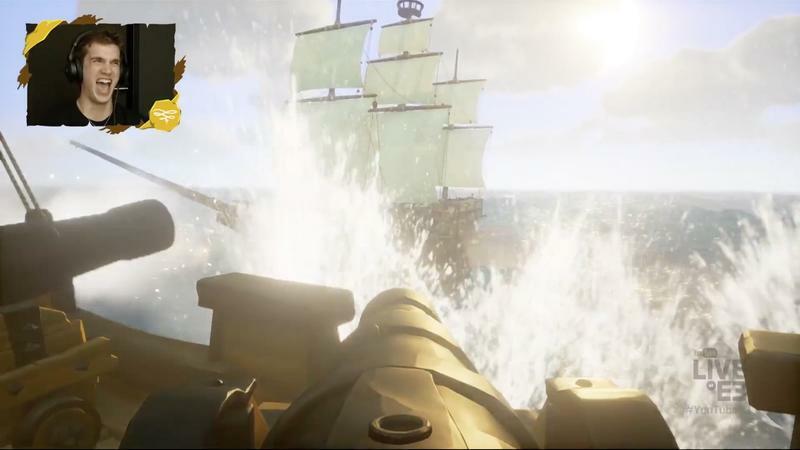 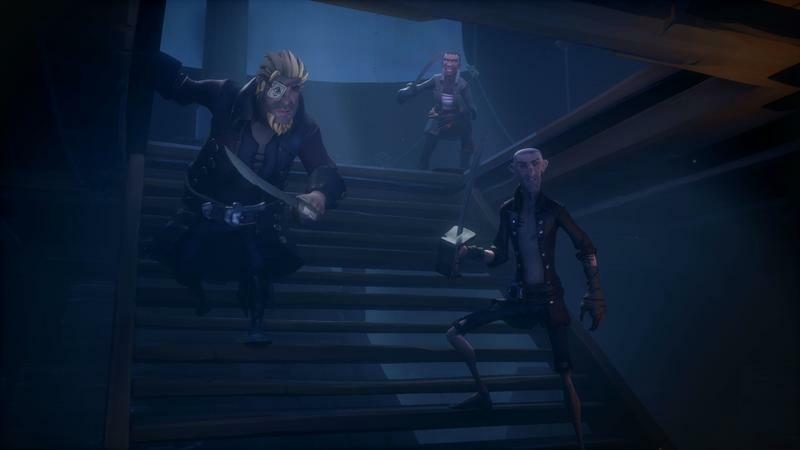 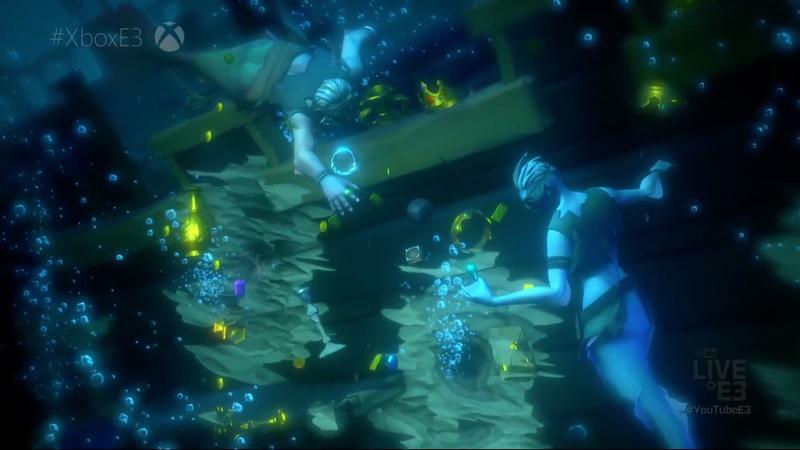 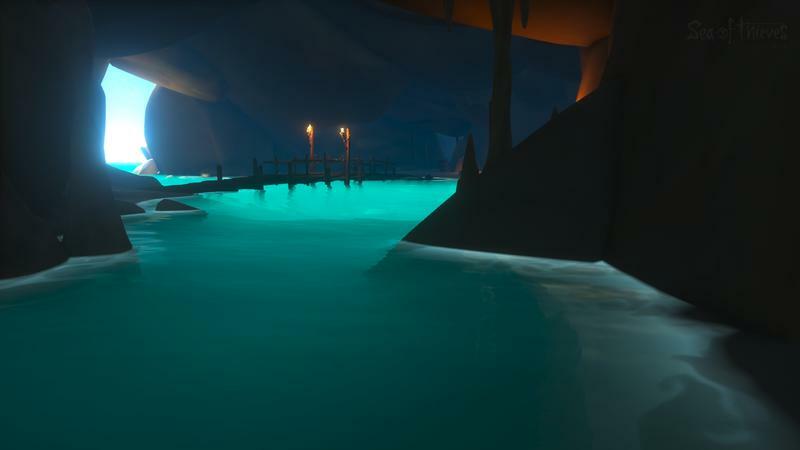 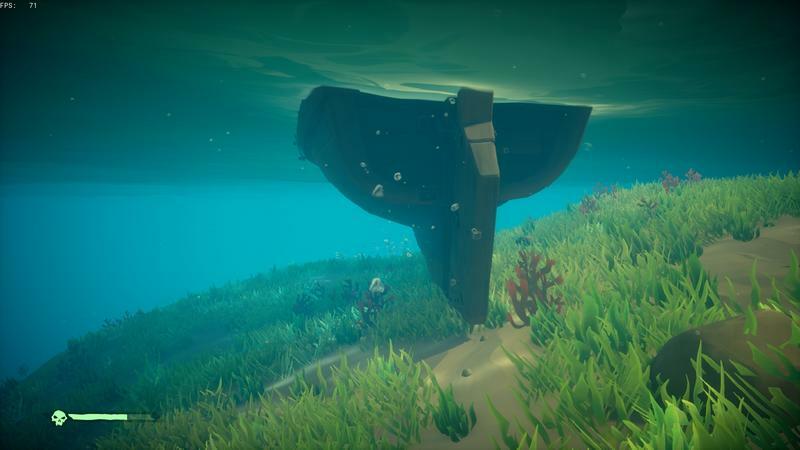 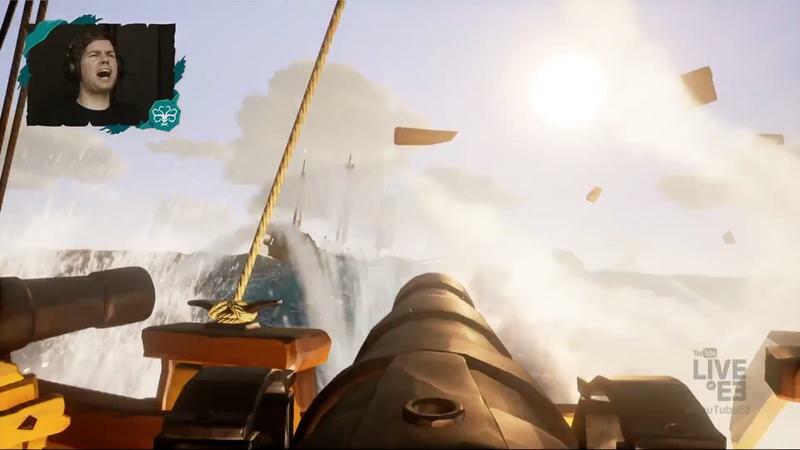 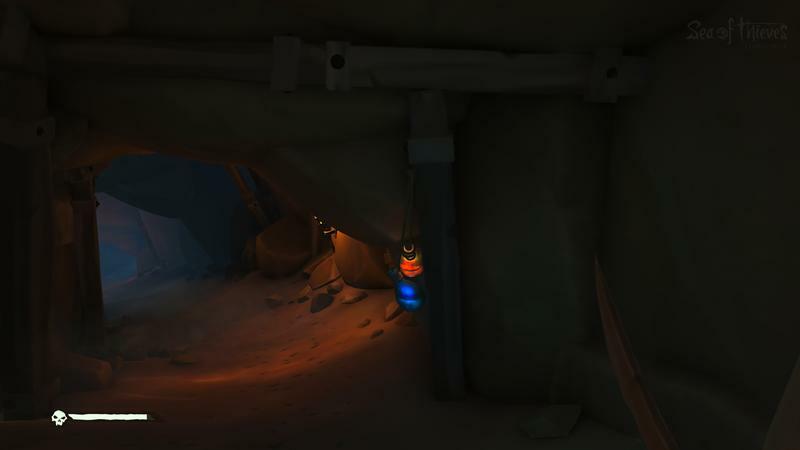 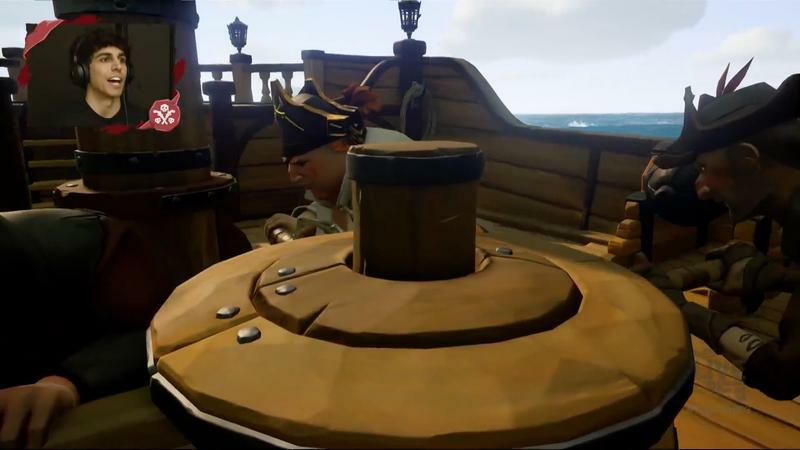 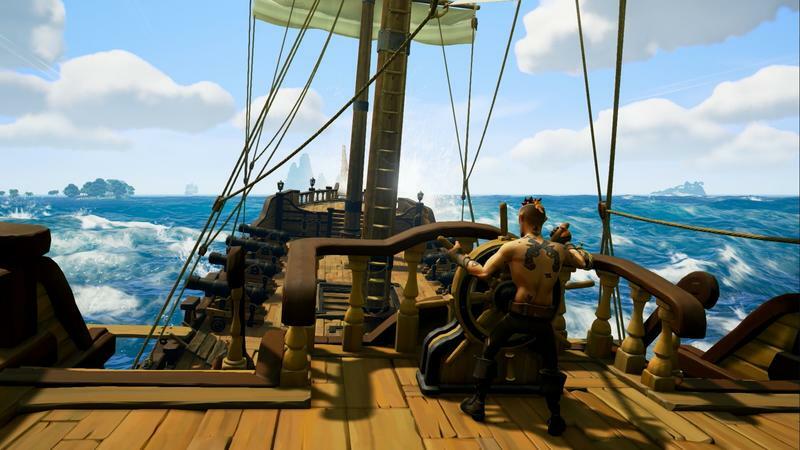 Sea of Thieves started out on rough waters, and at times I was worried it was taking on water faster than the team could bail it out, but the upcoming content updates show us a team that is watching player feedback, watching player interaction, and finding ways to enhance those and make them core aspects of the game design. 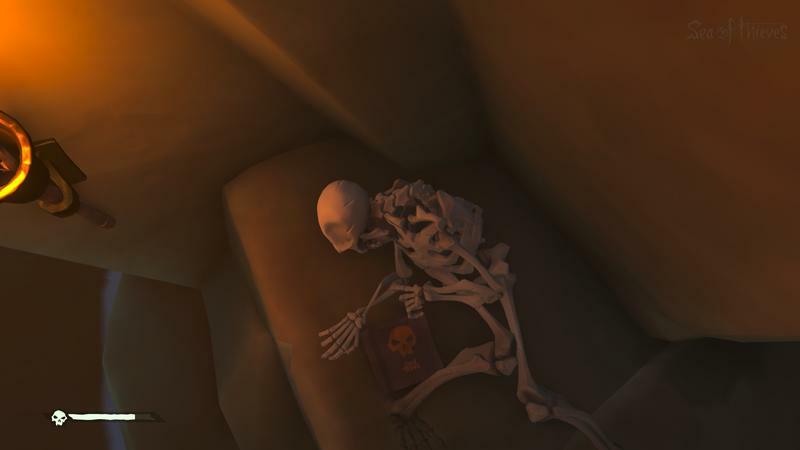 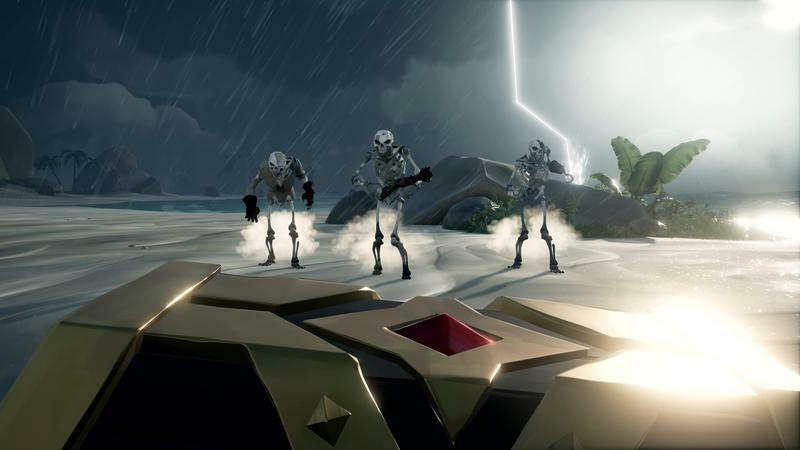 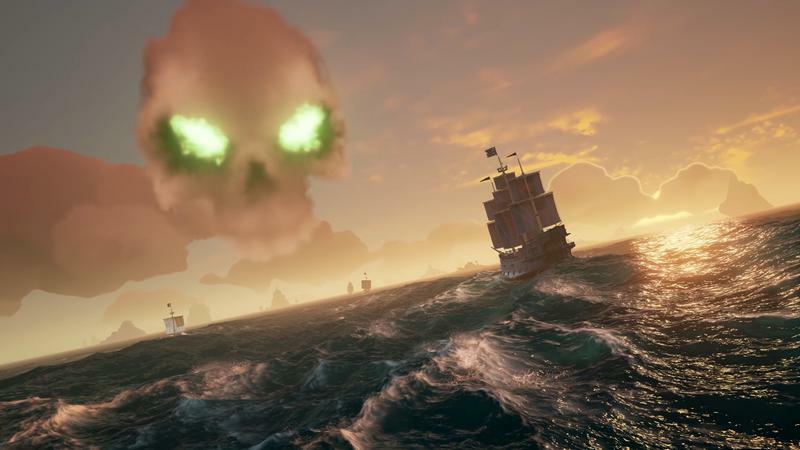 Right now, as we speak, there's already the first of a set of ongoing events available to play that has you and your shipmates seeking out Skeleton Thrones that will get you limited-time cosmetic items. 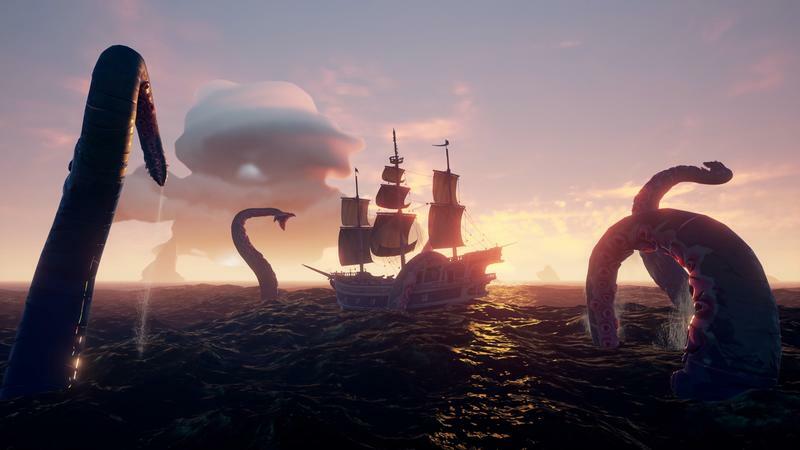 Sea of Thieves is already more fun to play, but there's so much coming that I can't help but look forward to the game.